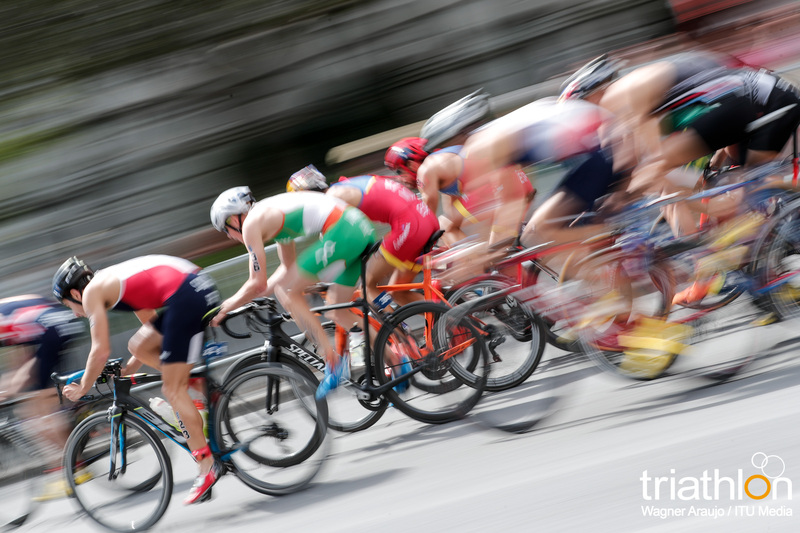 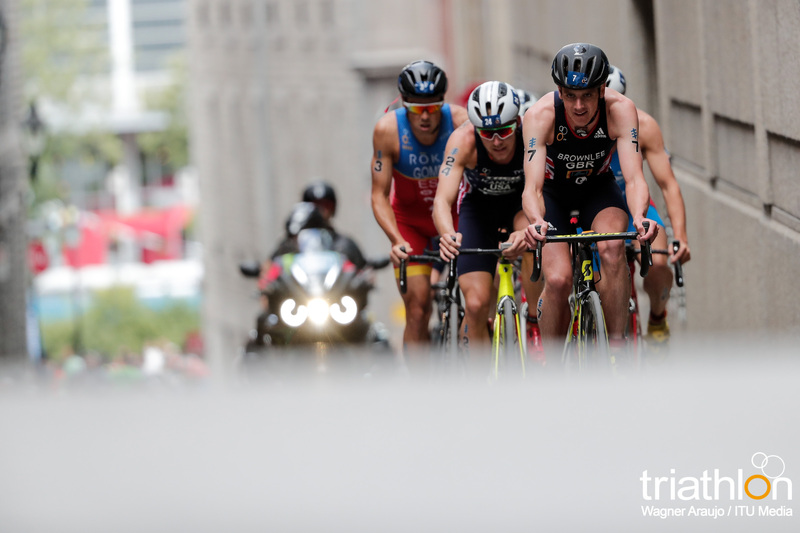 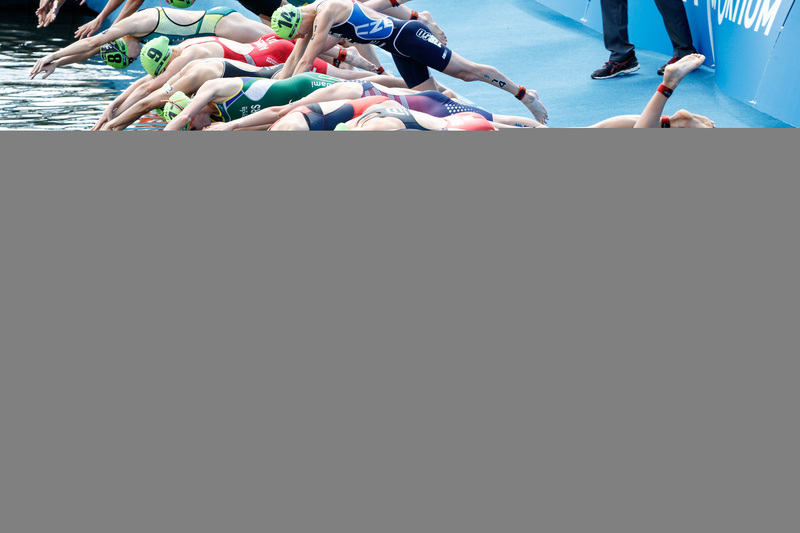 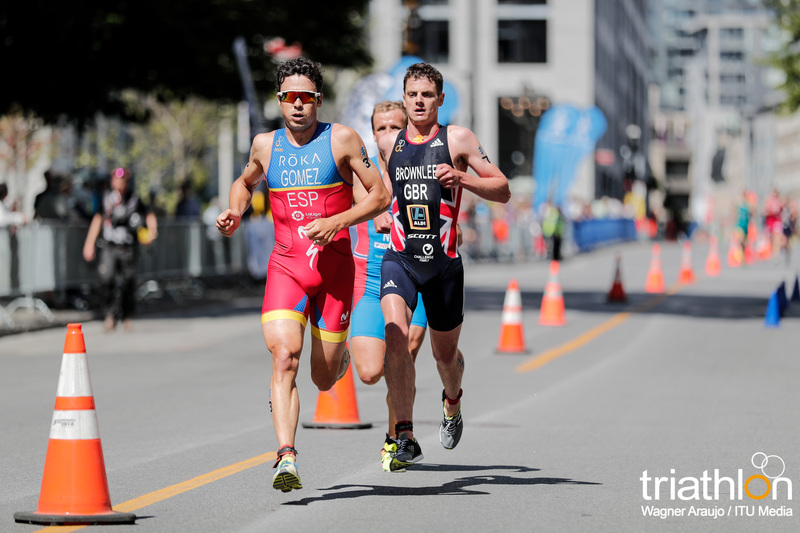 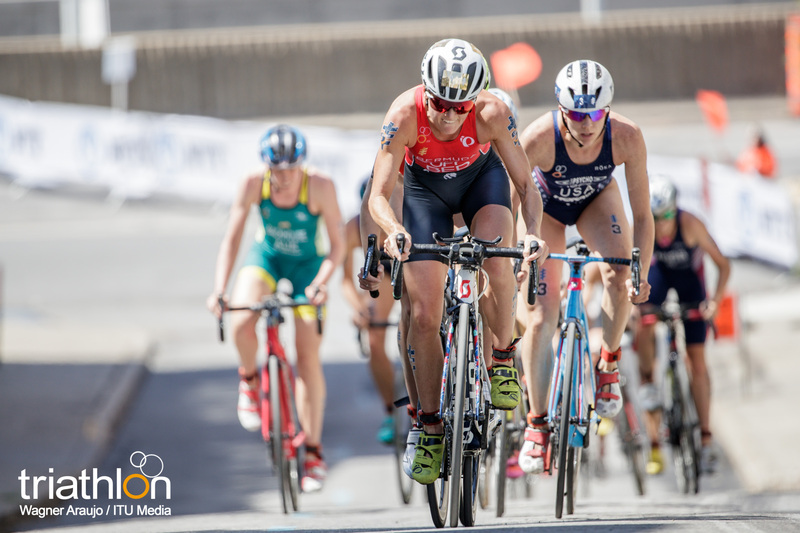 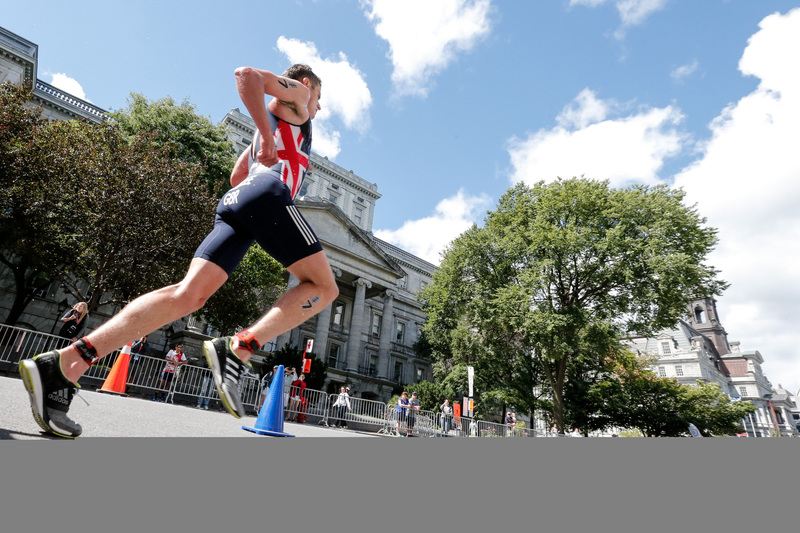 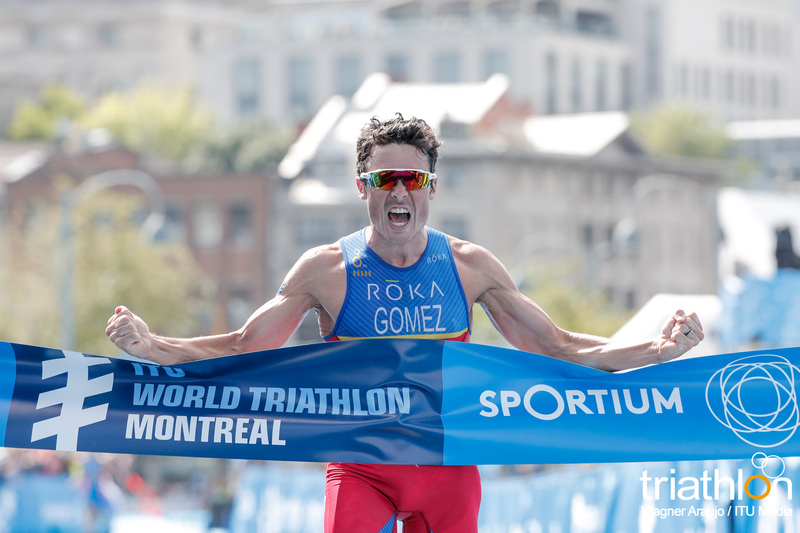 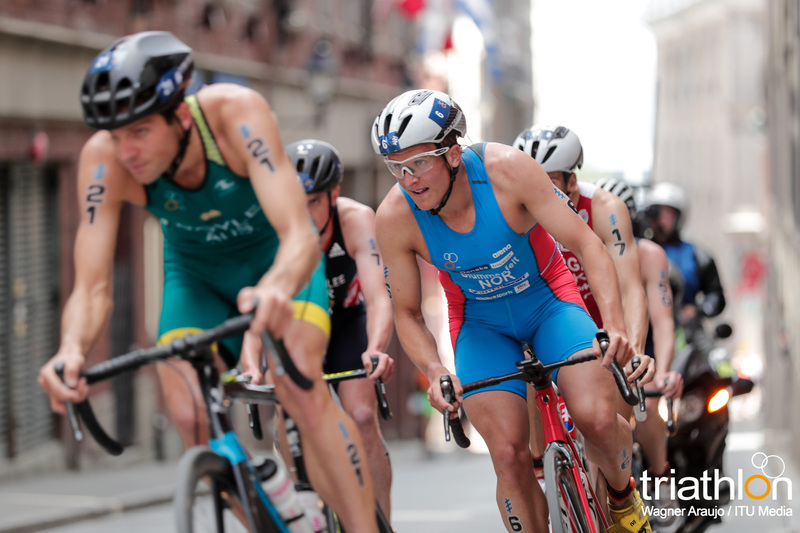 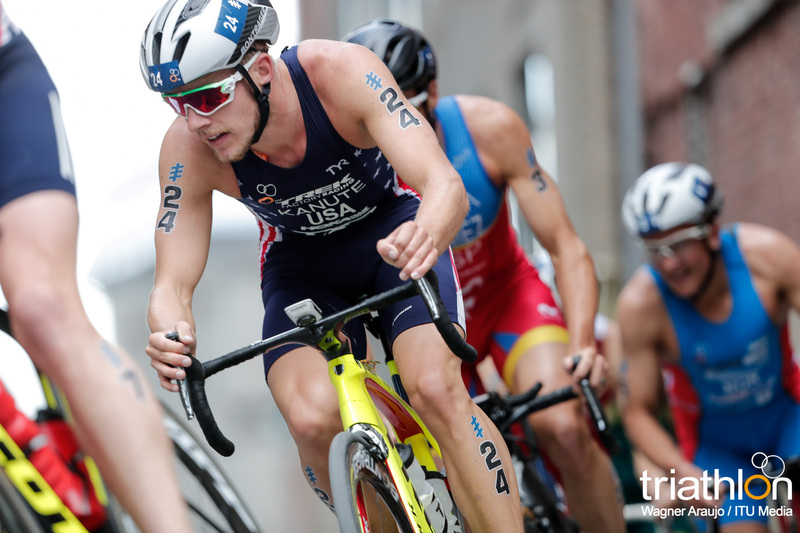 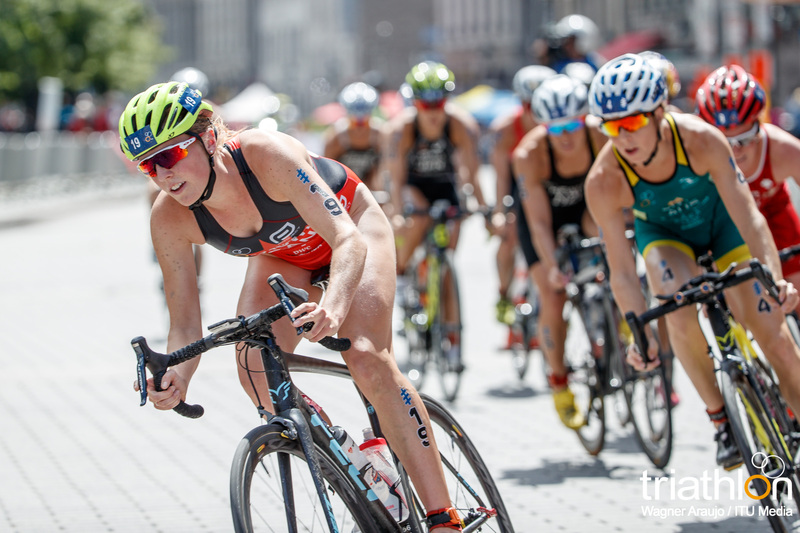 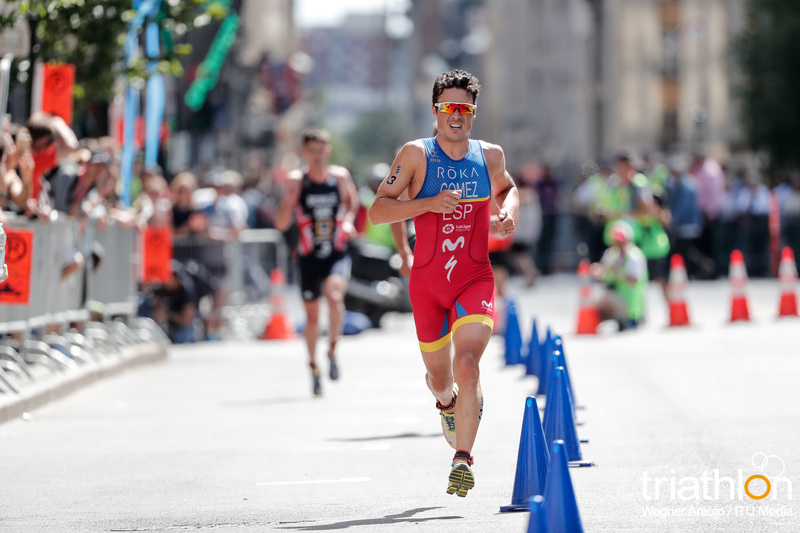 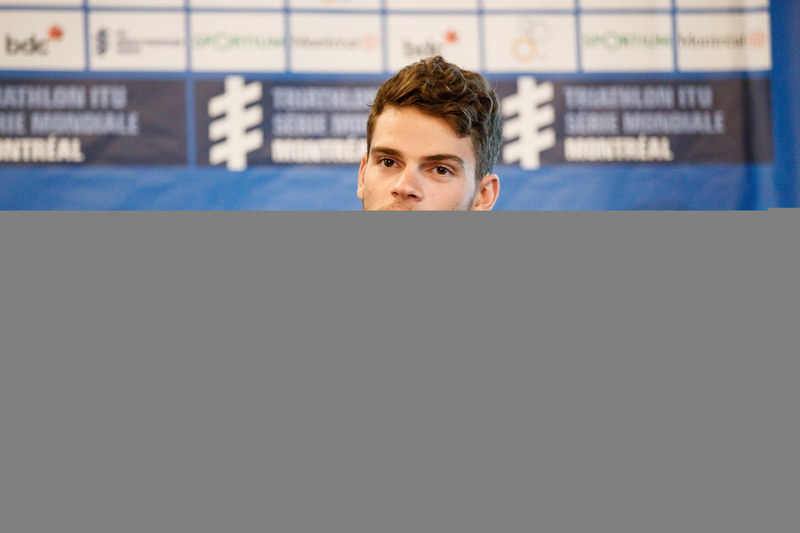 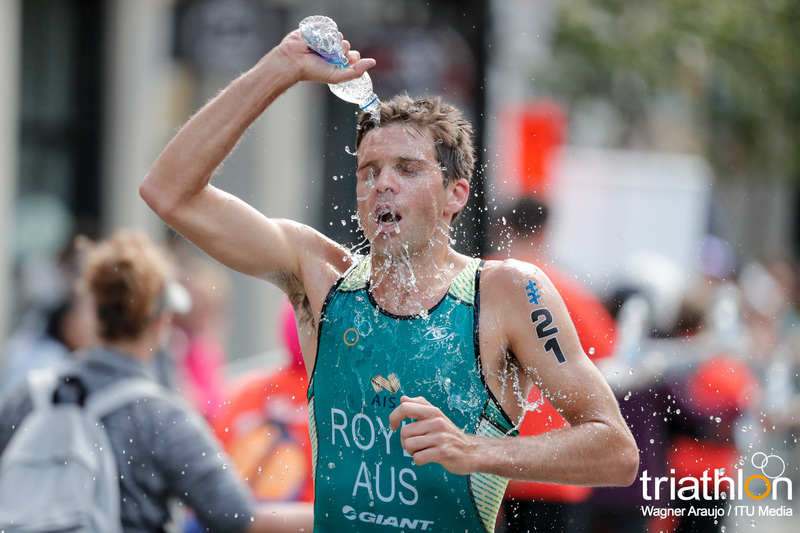 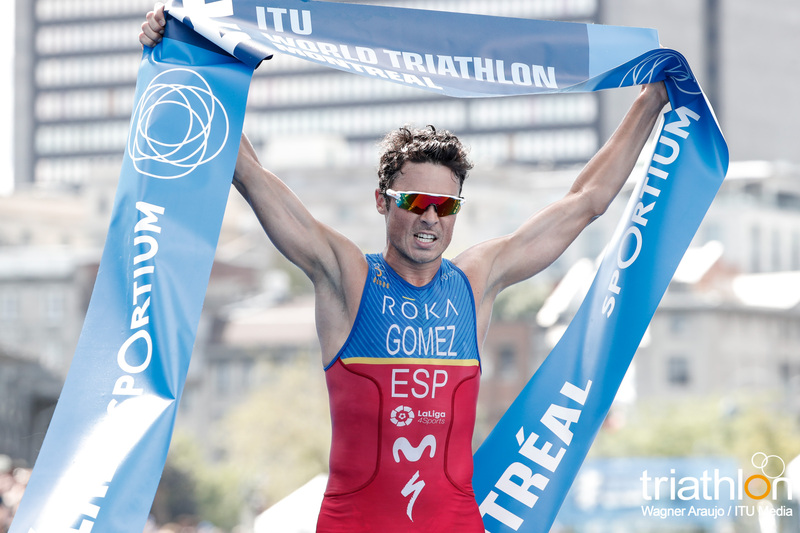 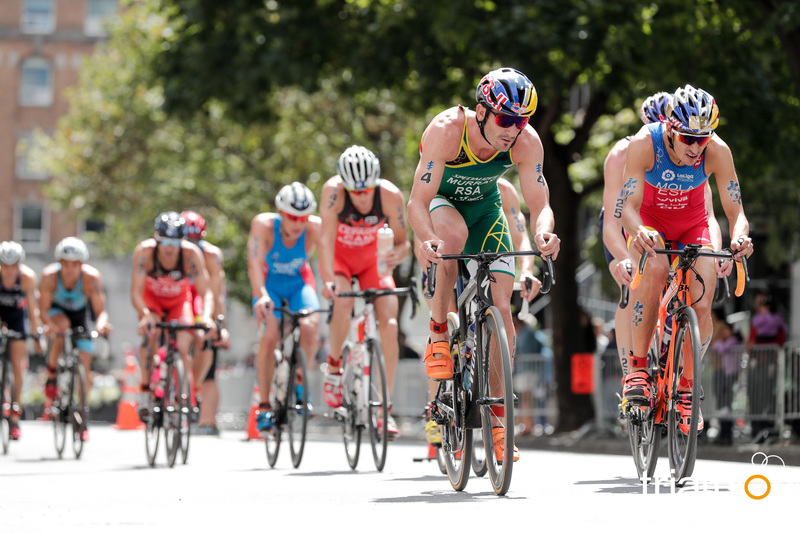 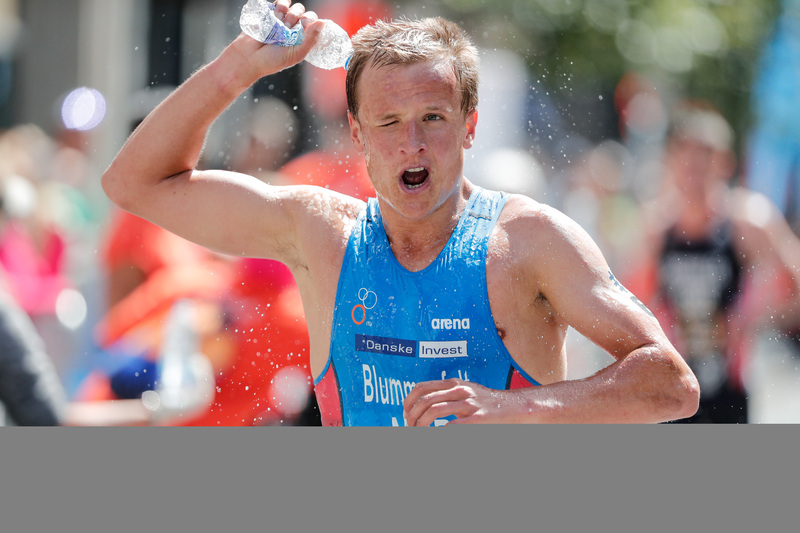 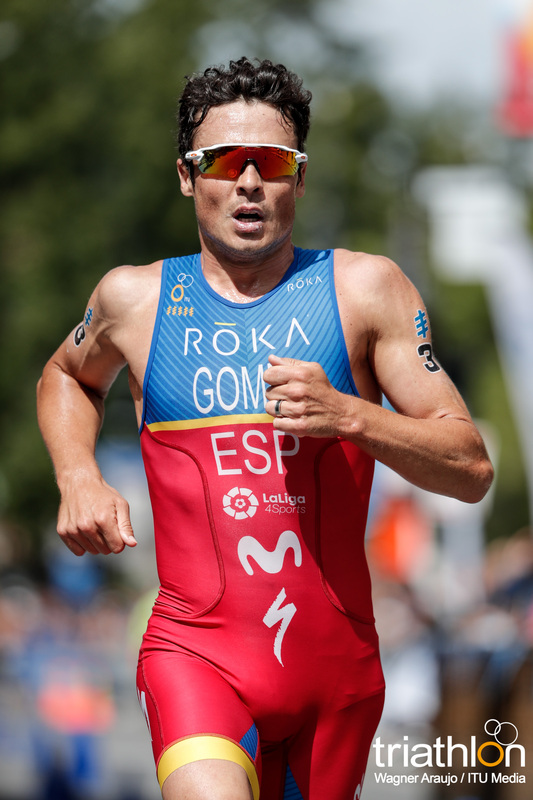 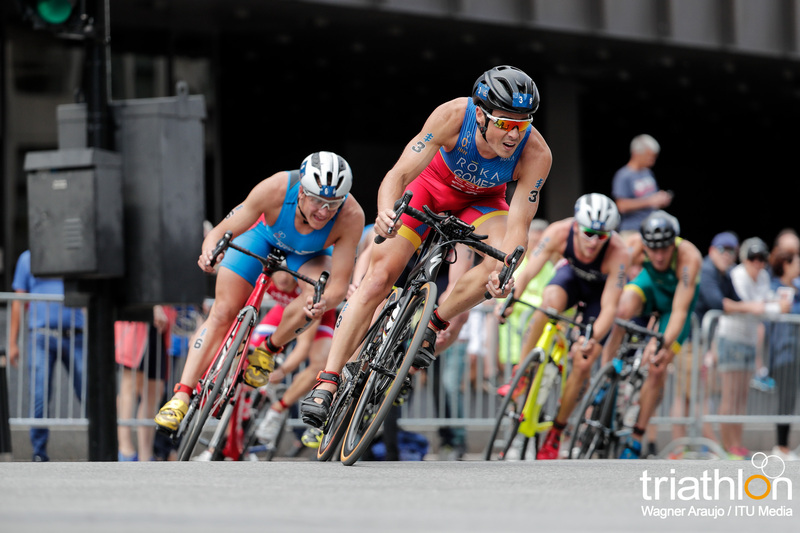 The Canadian tour of the 2017 World Triathlon Series continues as the elites line up for the 2017 ITU World Triathlon Montreal to face off for the seventh time. 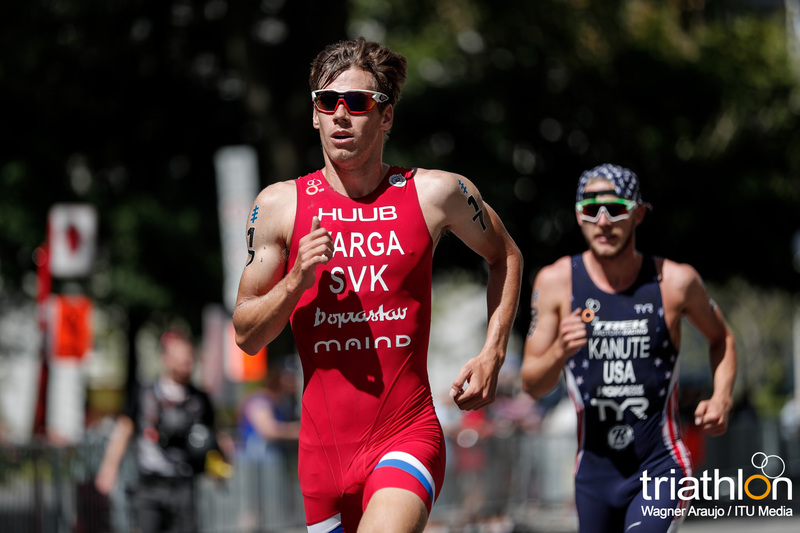 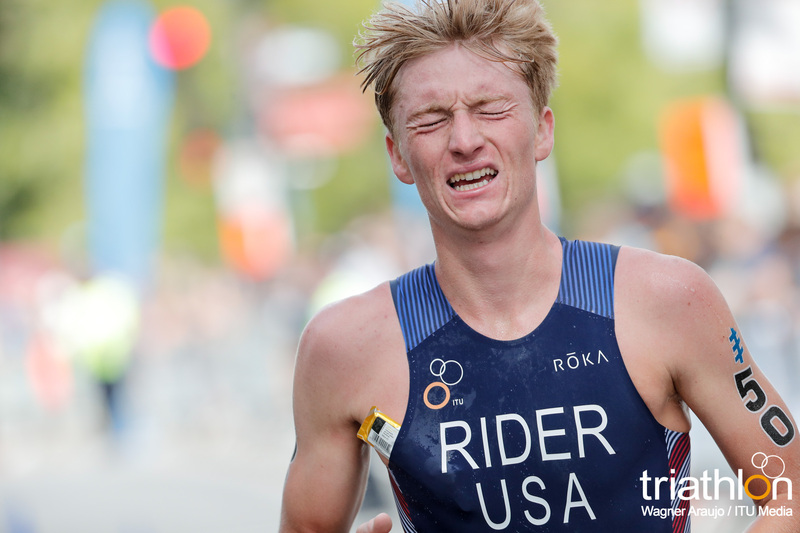 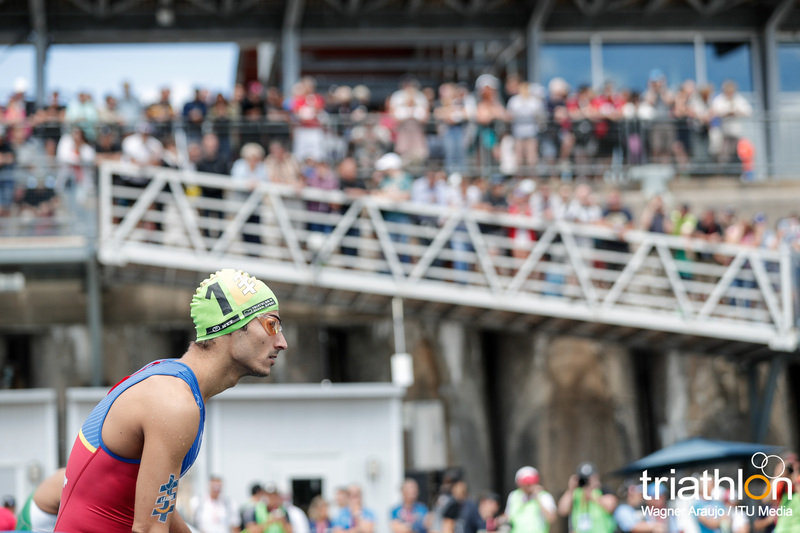 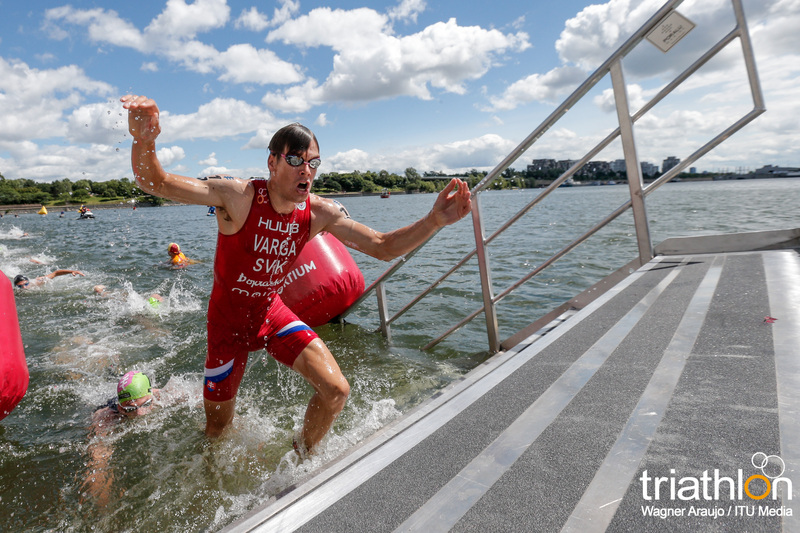 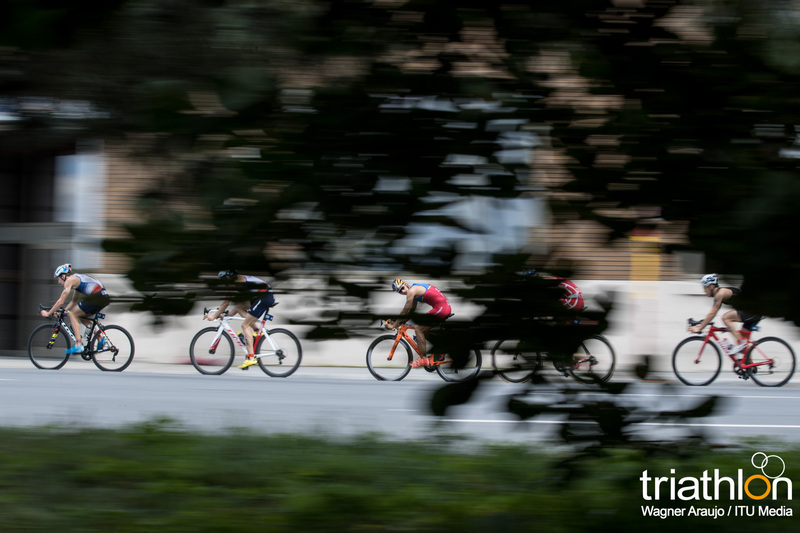 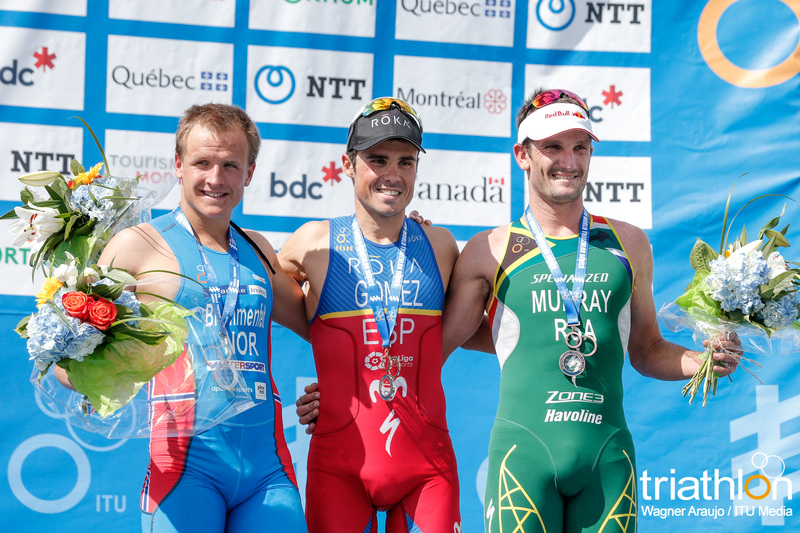 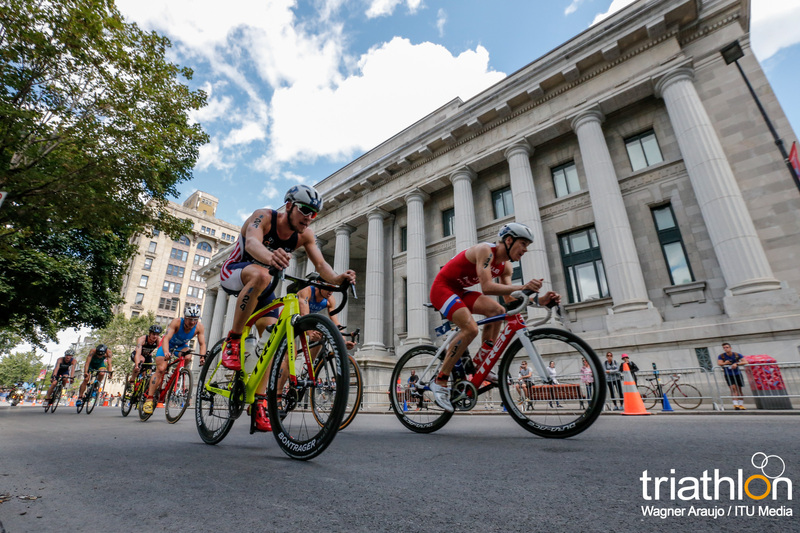 After battling the sprint distance course in Edmonton, Canada last weekend, athletes traveled east to Quebec to compete in the debut WTS race held in Montreal. 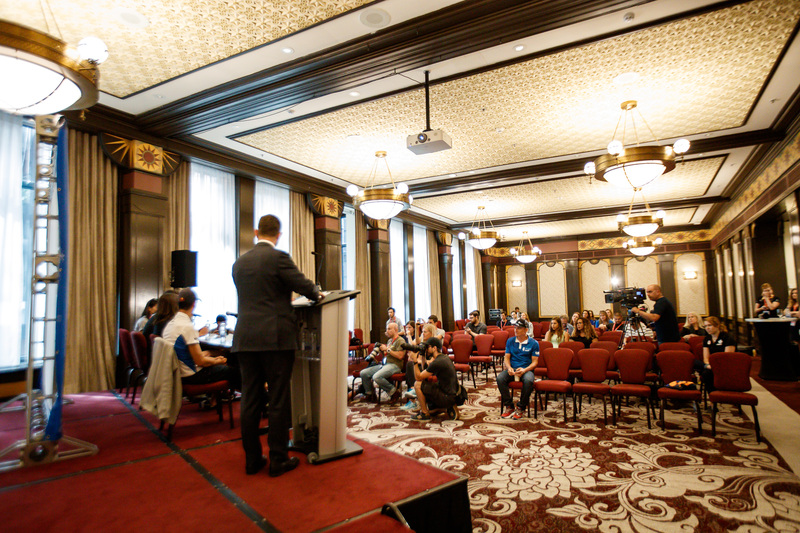 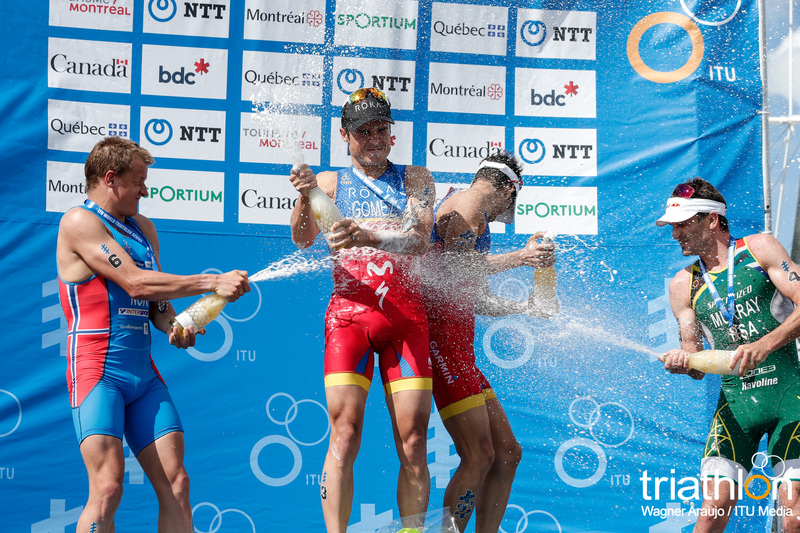 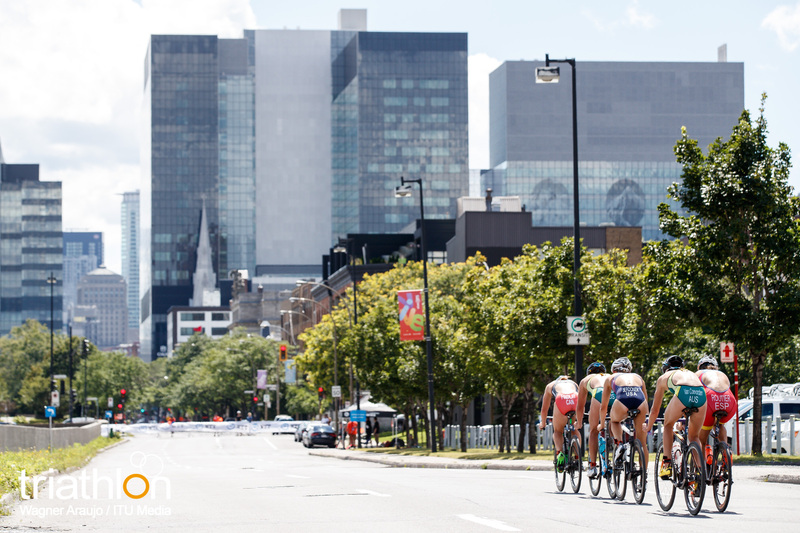 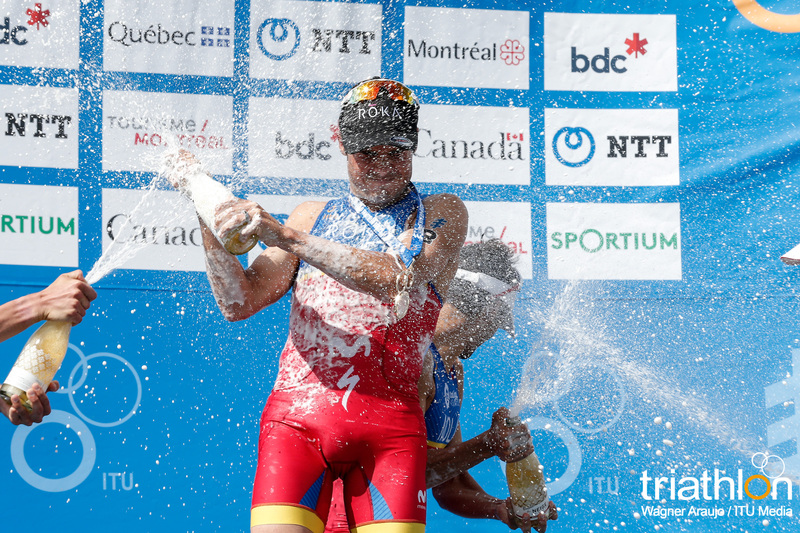 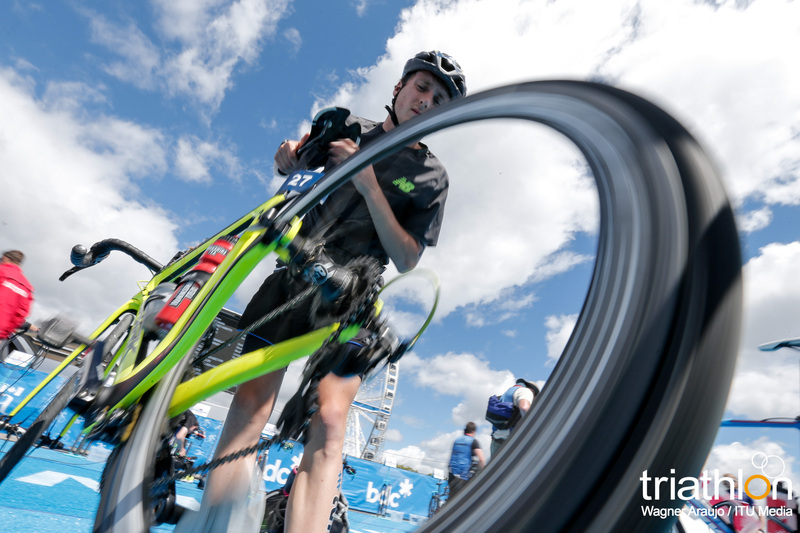 Montreal joins the WTS family this season as the 24th city to ever hold the honor of hosting a WTS race since its inception in 2009. 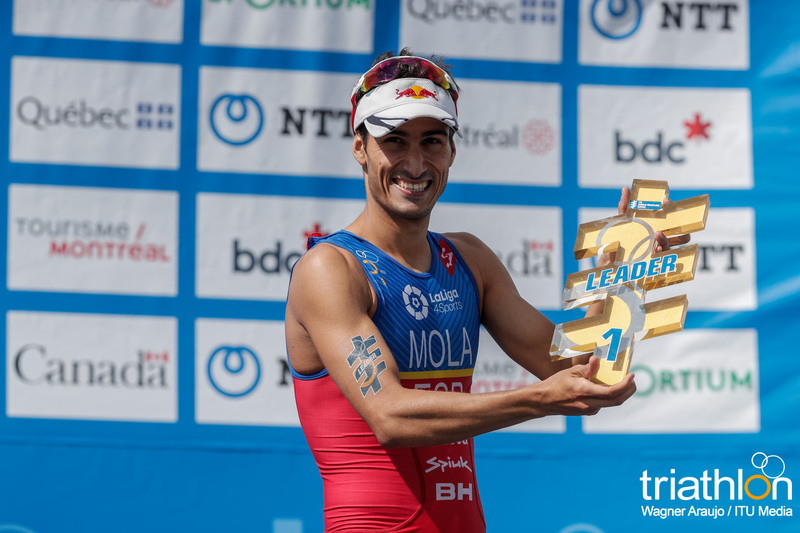 It is also only the second Canadian city to do so, and with back-to-back race weekends held in Edmonton and Montreal, it is the first time in WTS history that two races have been held in the same country in the same season. 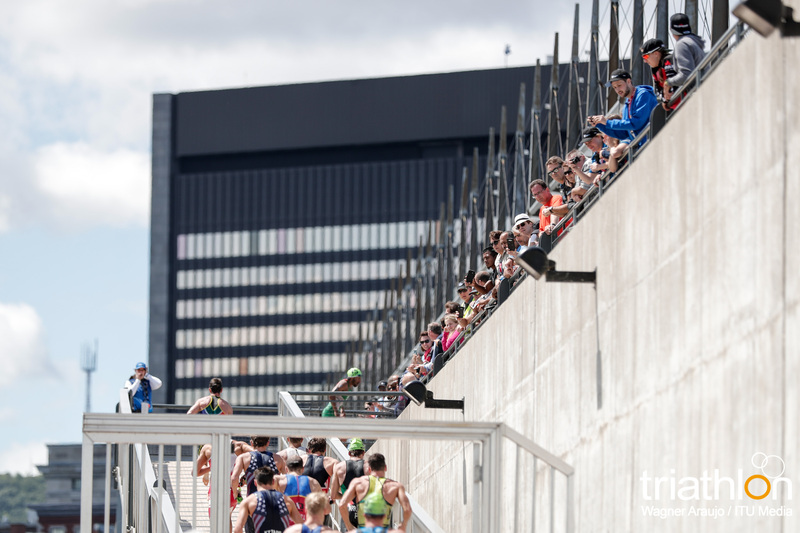 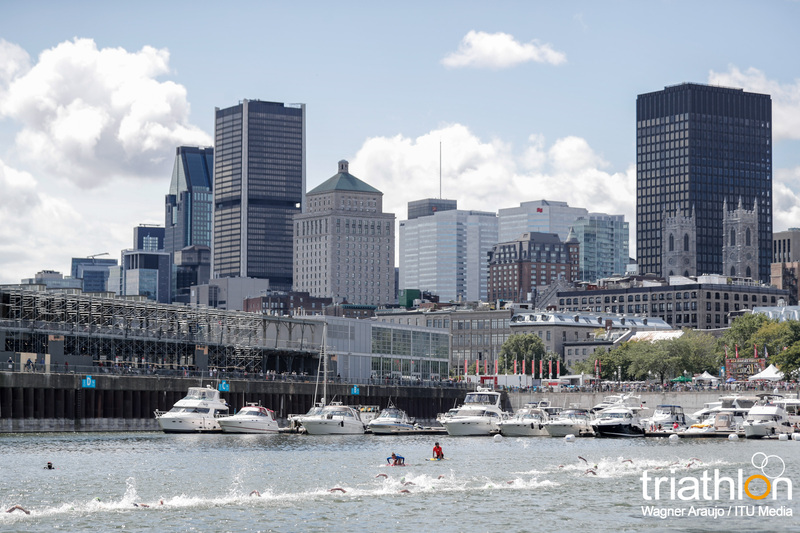 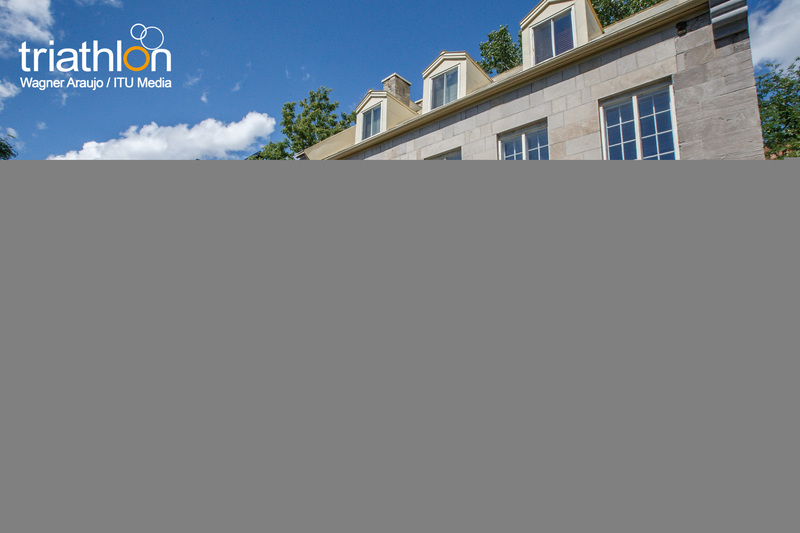 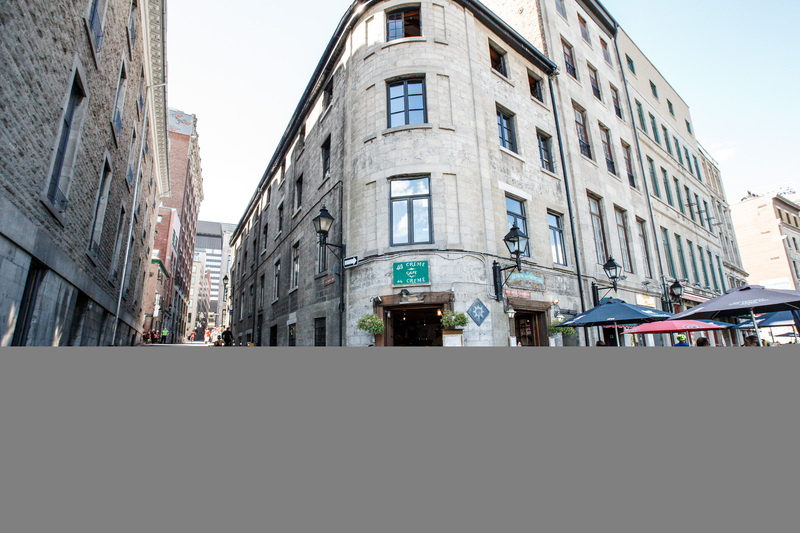 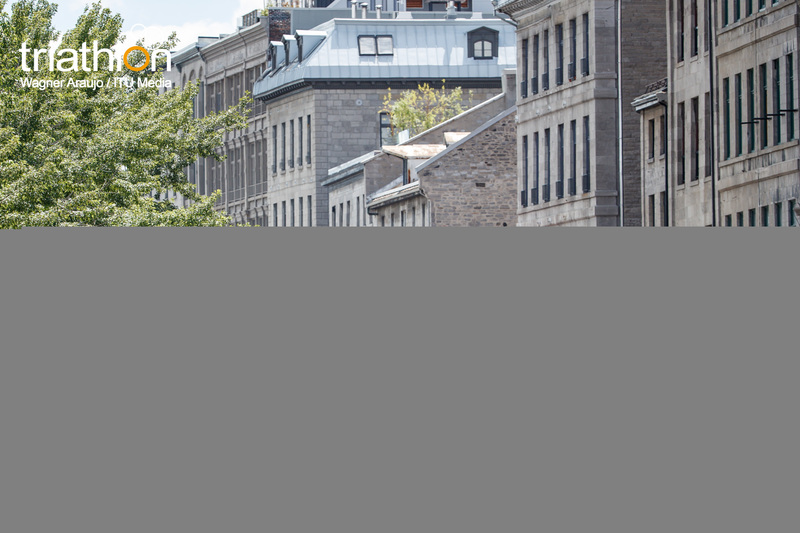 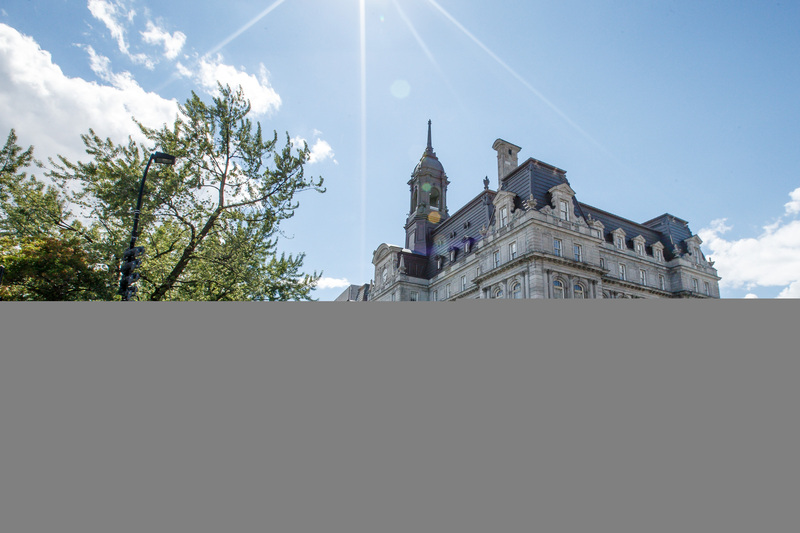 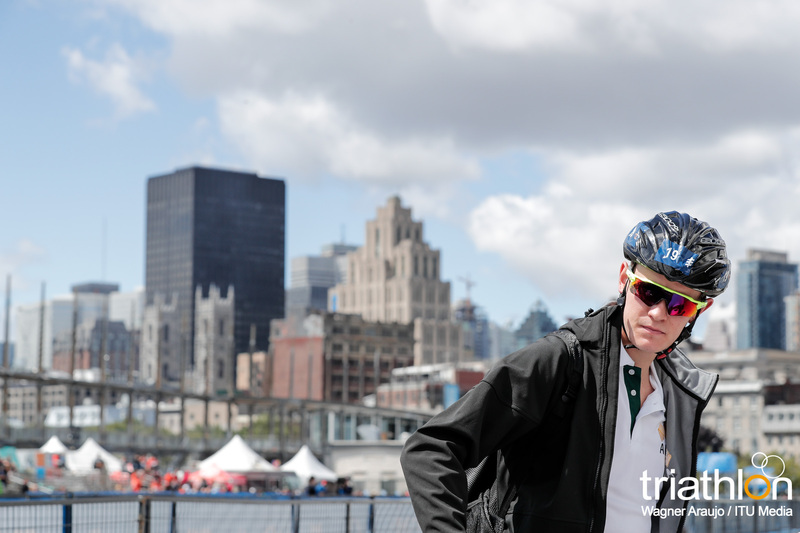 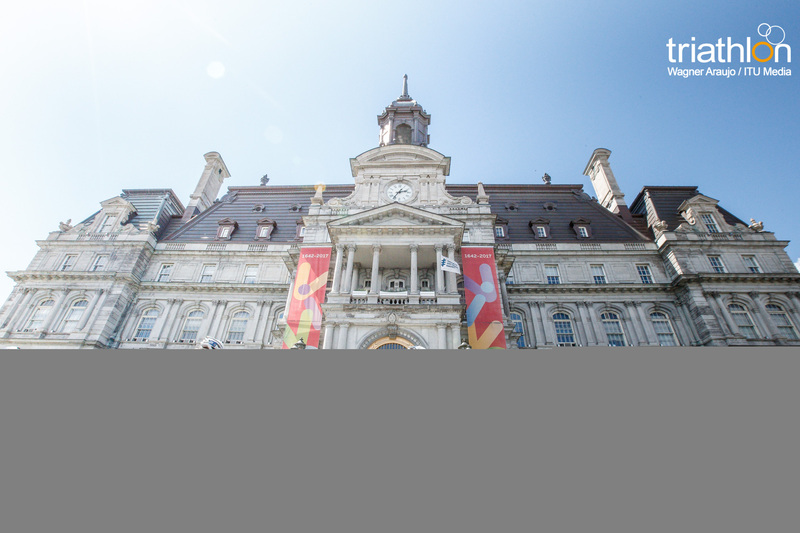 As the largest city in the province of Quebec, Montreal is serving up a standard distance course, where the elites will make their way through the Old Port and Old Montreal. 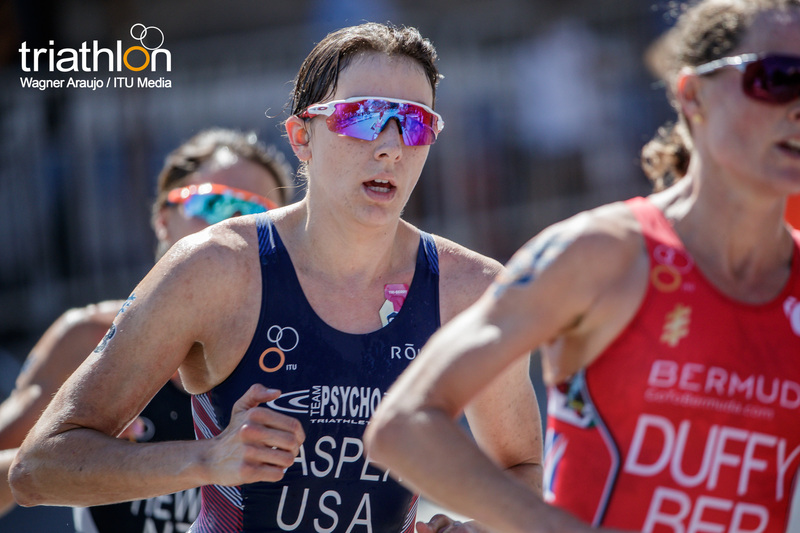 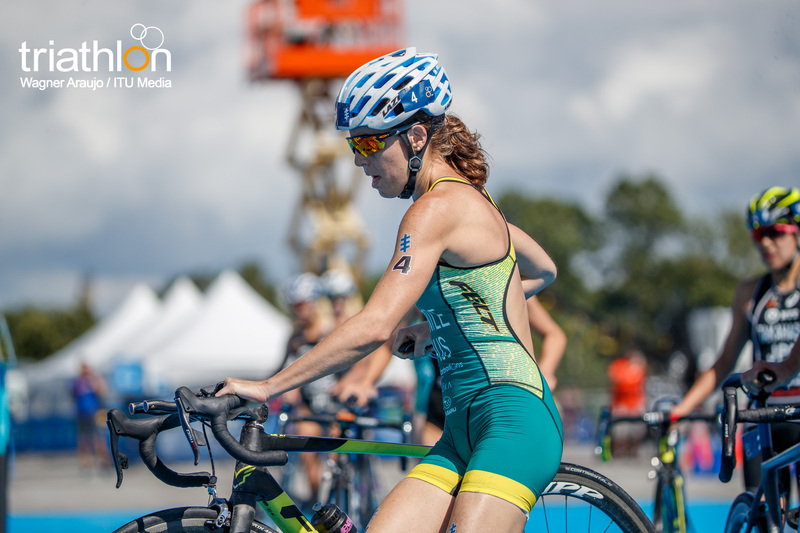 The women’s field has really been heating up as the number one position in the overall WTS rankings has changed almost every race, making the battle for the World Title a close and exciting one. 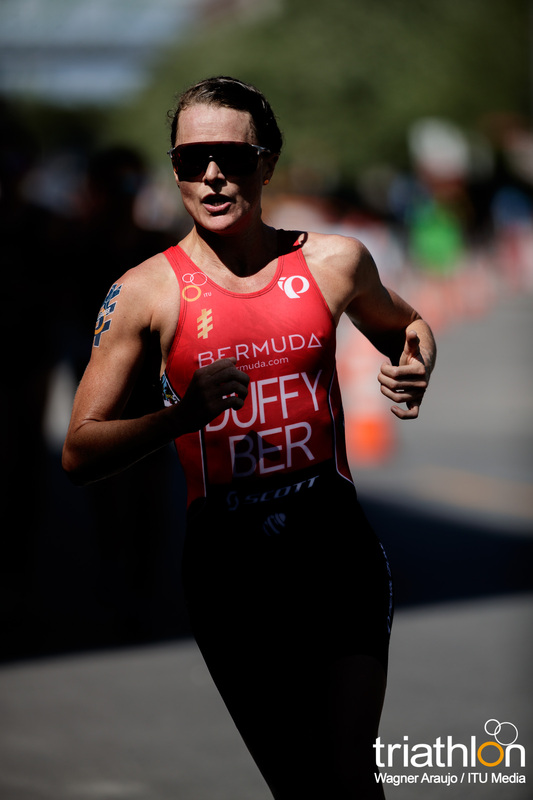 For the first time this season, Bermuda’s Flora Duffy will line up wearing the golden swim cap. 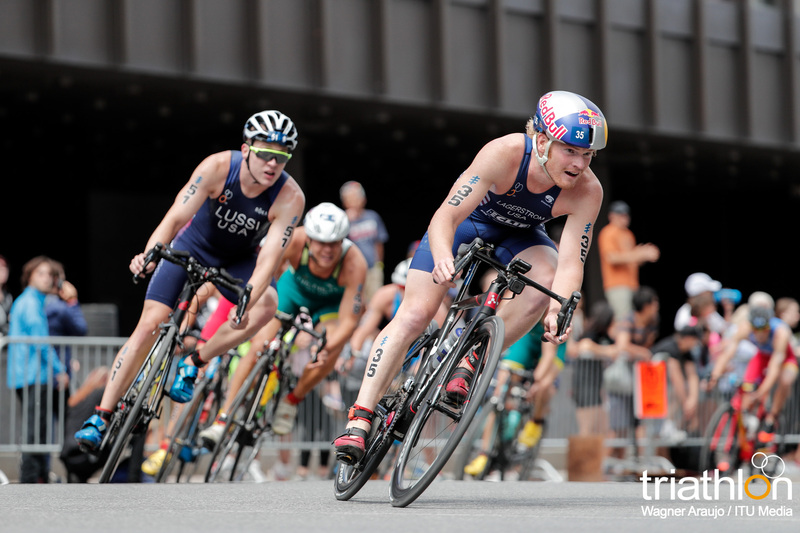 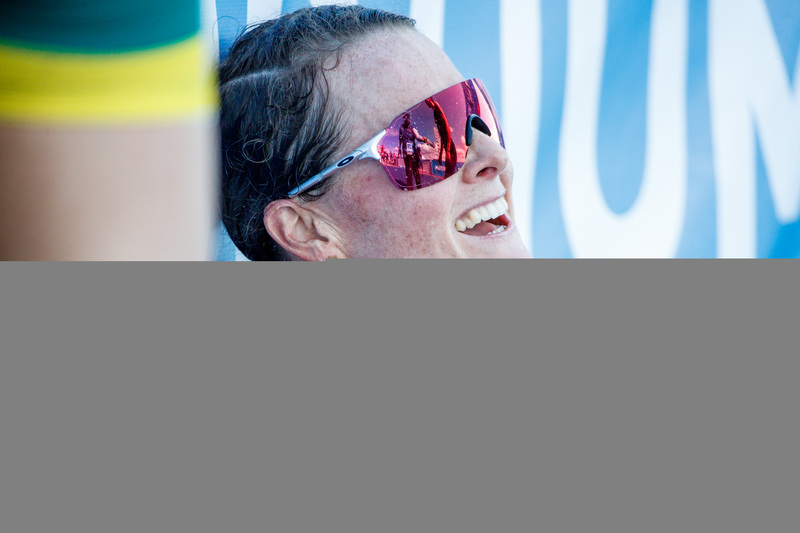 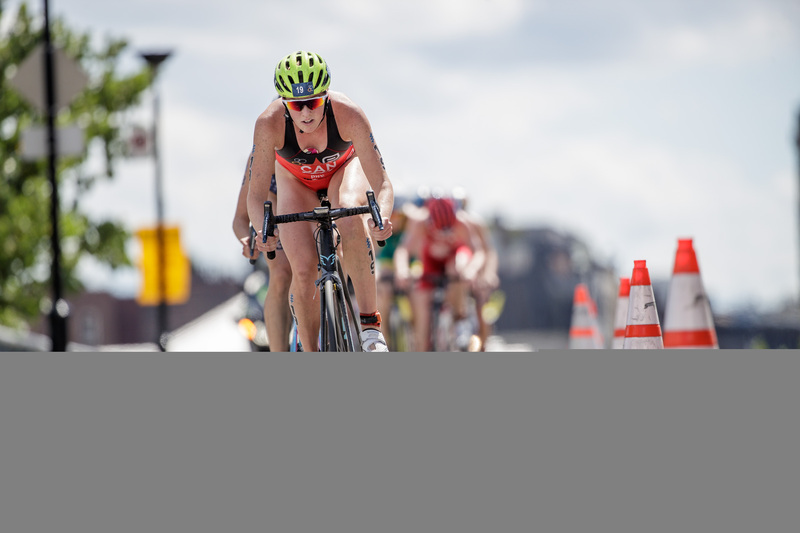 Duffy has been unstoppable this season, just winning her fourth consecutive WTS race last weekend in Edmonton. 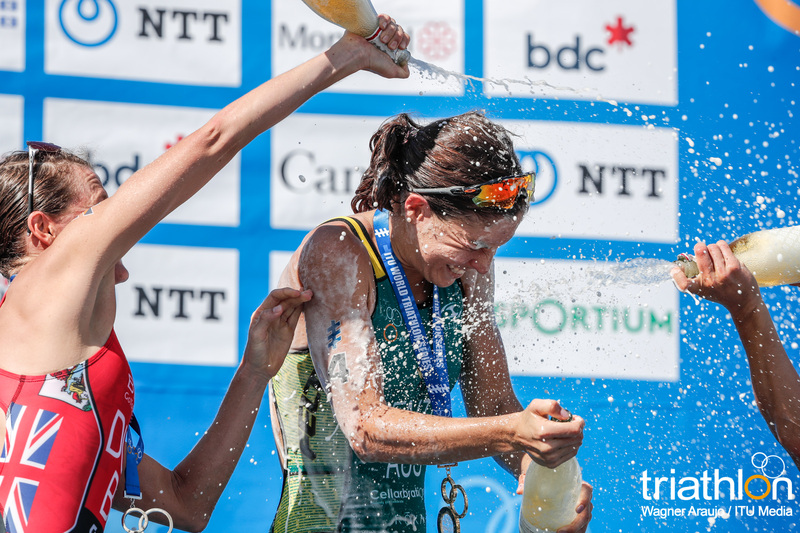 However, not only is she winning, she is dominating. 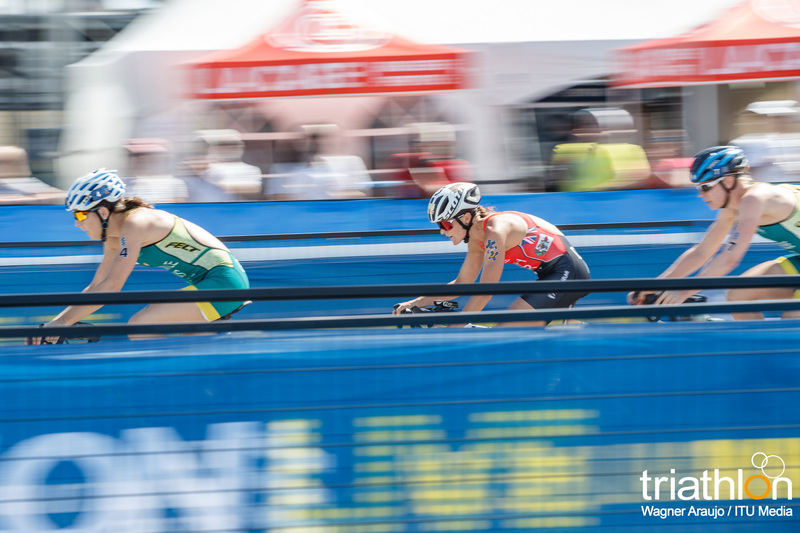 The closest winning margin she has won by is 31 seconds, which was in Hamburg. 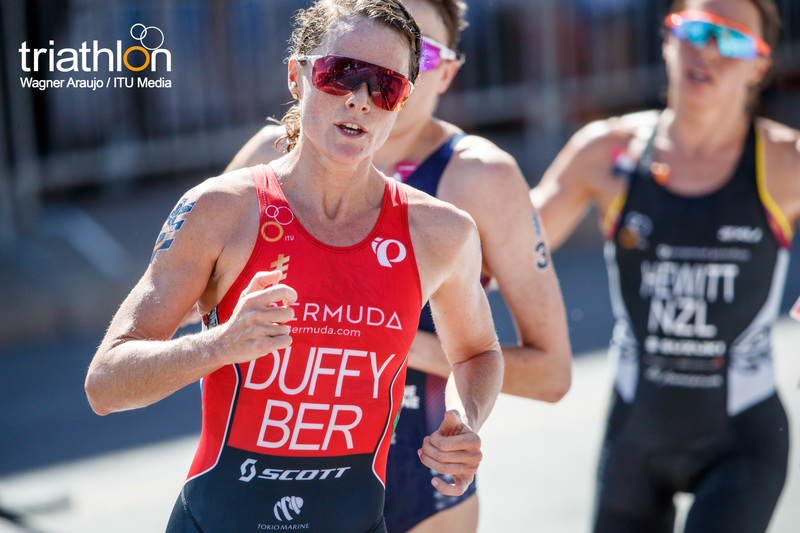 Otherwise Duffy’s victories have been done by over a minute margin, meaning that she in untouchable on her way to the top of the podium. 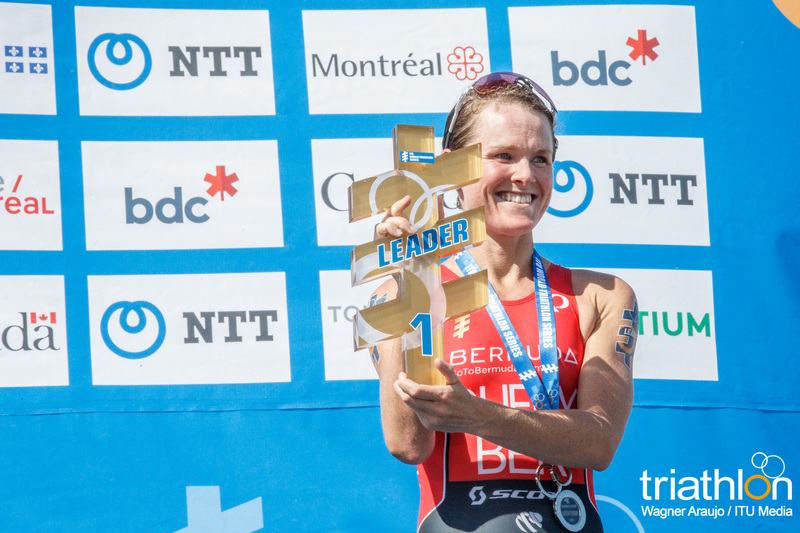 Another advantage for Duffy this weekend is that she won at the Montreal venue last year when it was a World Cup. 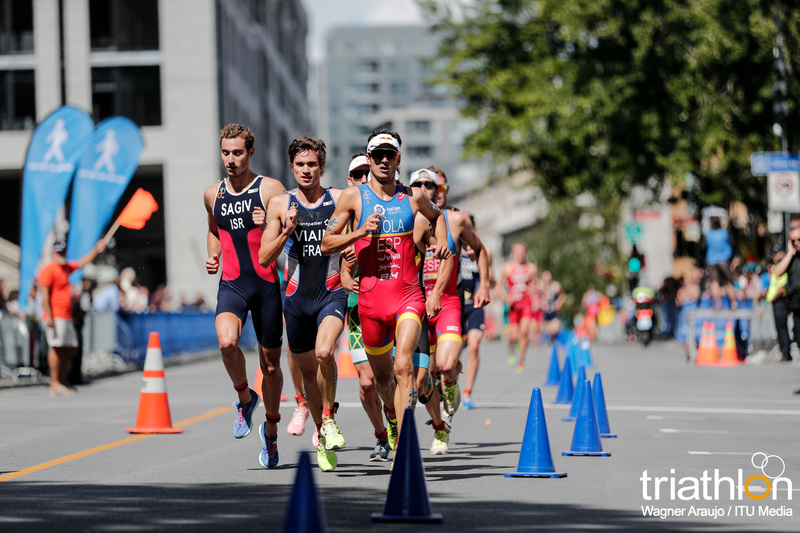 Two Americans have been in the forefront this season, exchanging turns at the top of the leaderboard. 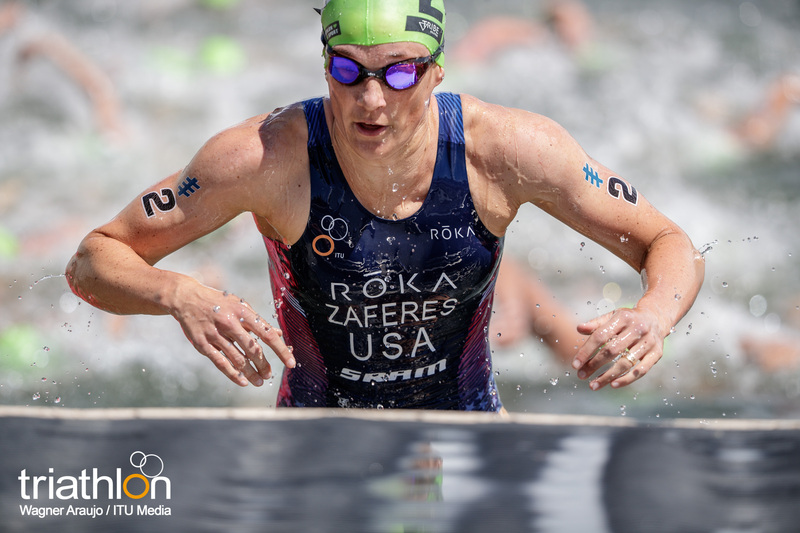 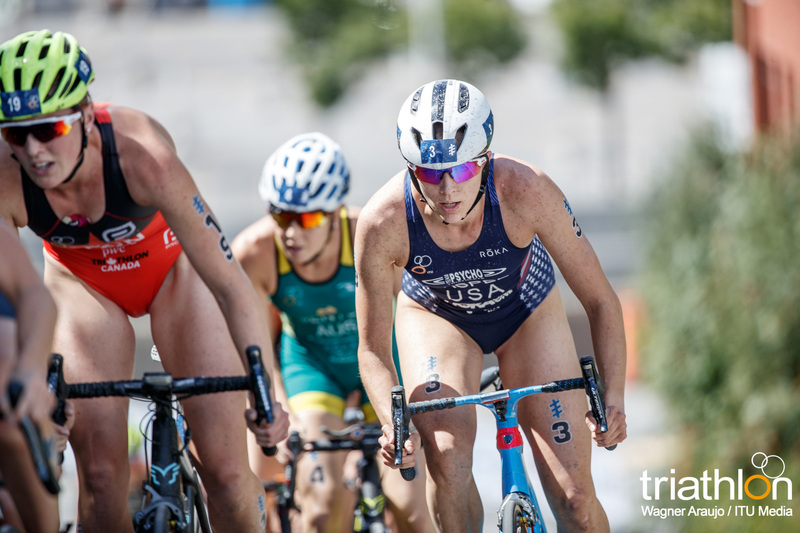 Katie Zaferes and Kirsten Kasper have been huge threats to the WTS as they have been two of the most consistent racers in the field this year. 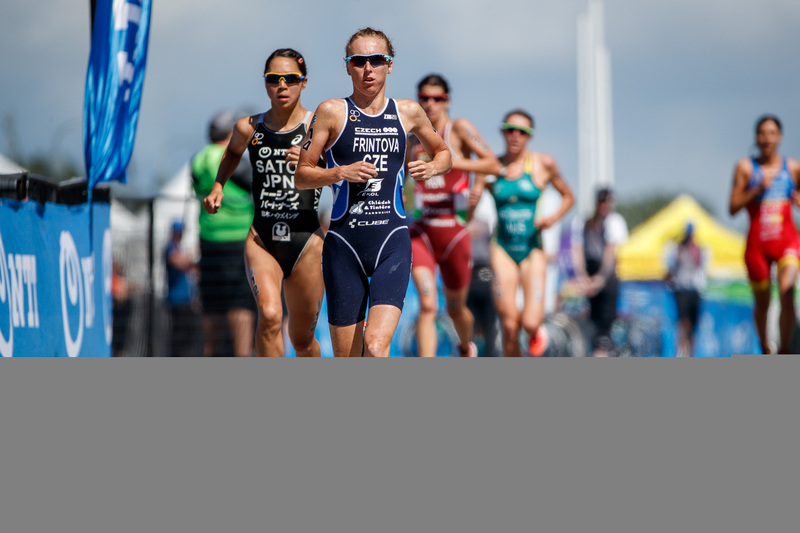 Zaferes just earned the bronze medal in Edmonton that she added to her collect after also earning the silver in Yokohama. 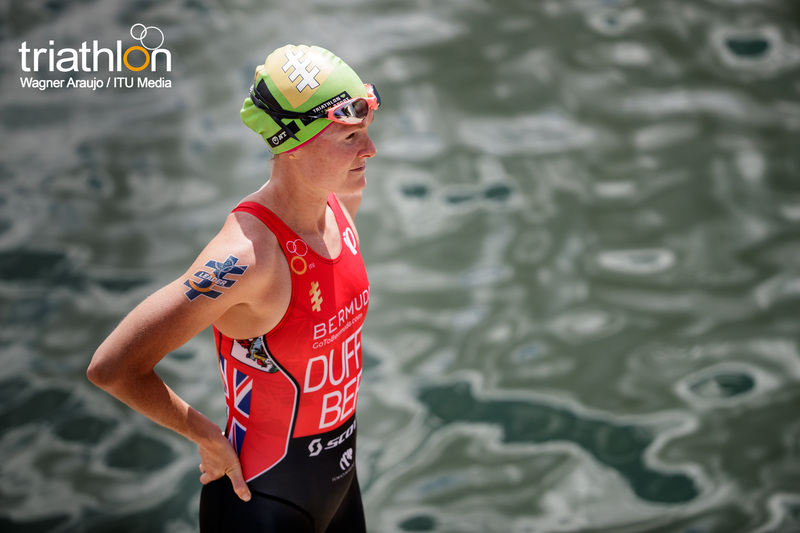 She has not won gold yet however, and since she is only 8 points behind Duffy in the rankings, she is very much alive in the World Title chance. 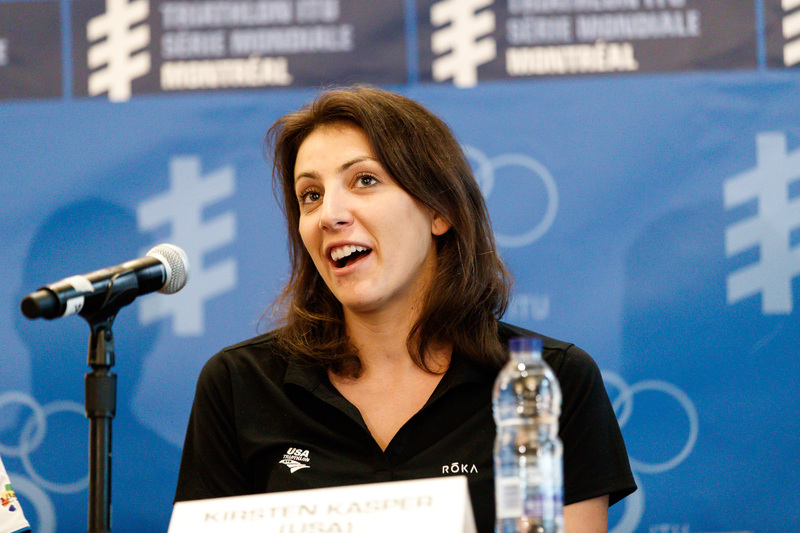 While Kasper is currently third in the rankings, she does not have a chance to become the leader again directly after Montreal. 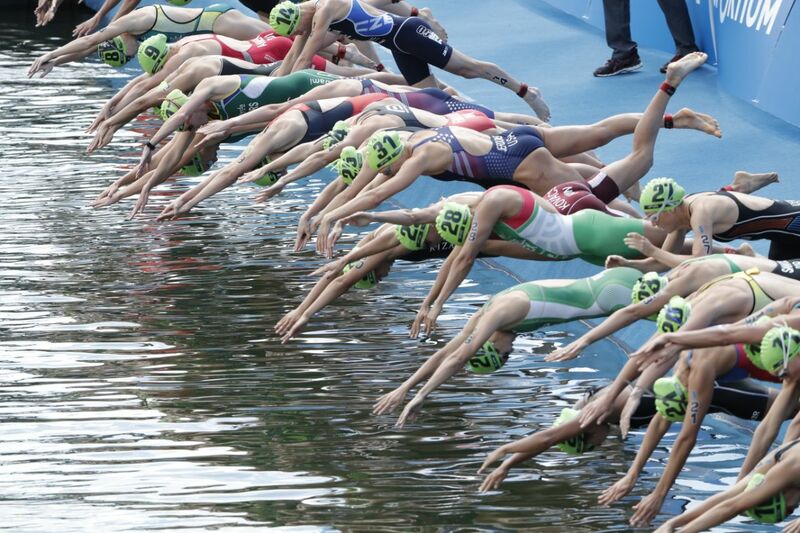 But that does not mean she is out of the running. 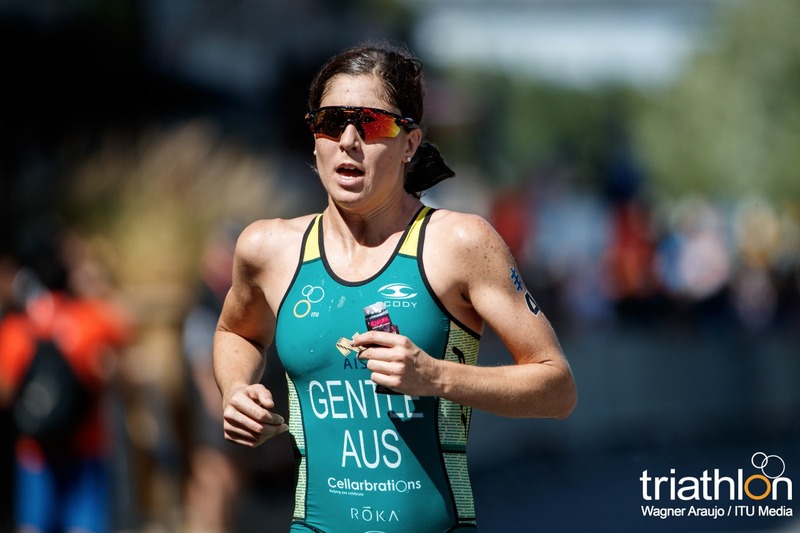 She has her five races to count towards the rankings, and since her worst finish is a ninth place, she can replace that this weekend with a better finish. 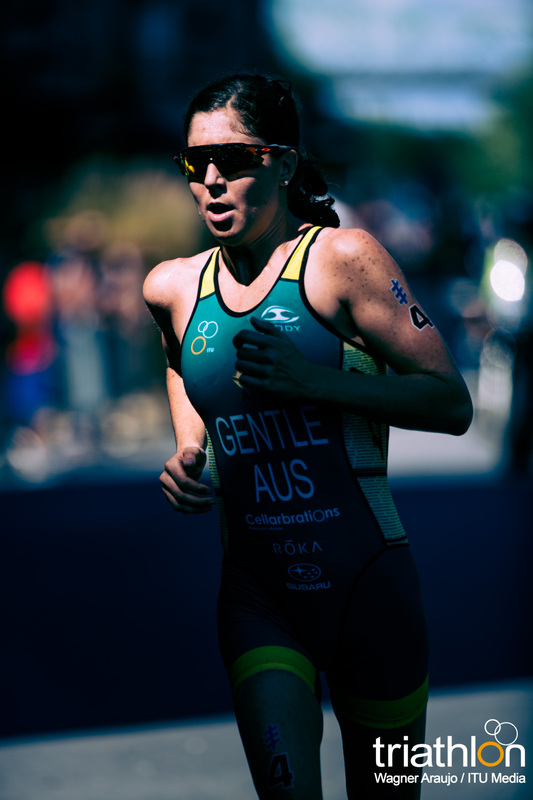 The other woman largely in Title contention is Aussie Ashleigh Gentle. 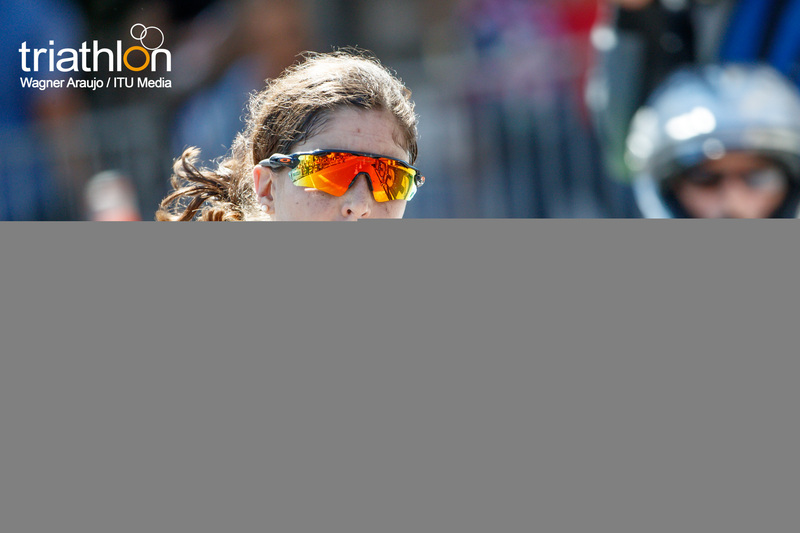 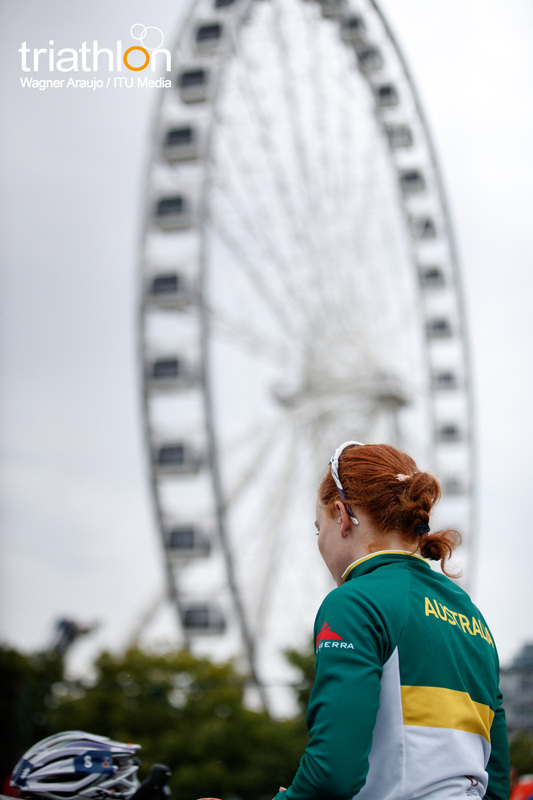 She has only raced four times this season, but has earned the silver in two of them. 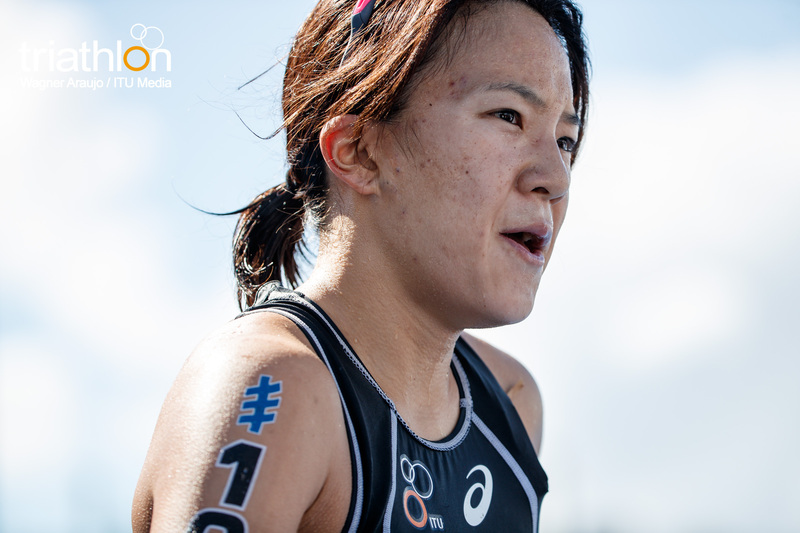 She also did not race in Edmonton, so she has the fresher legs to make an impact this Saturday. 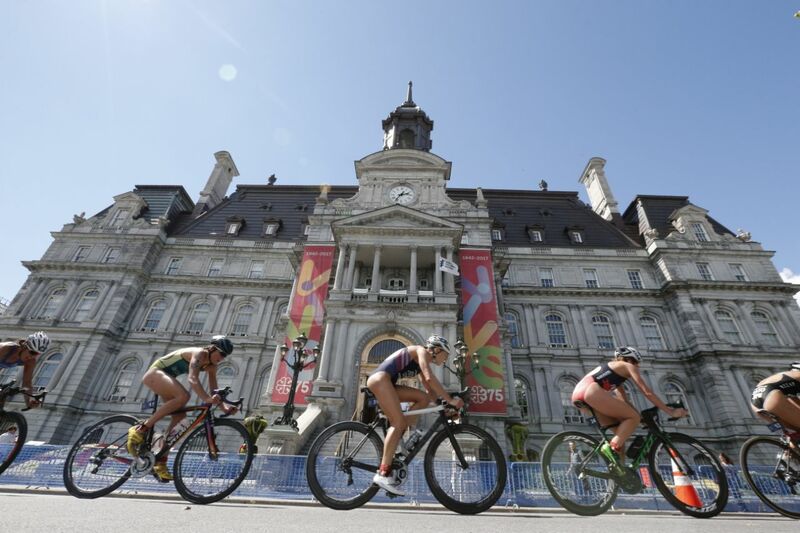 Since Montreal will be her fifth race to be counted towards her overall points tally, if she gets the gold or silver and Duffy or Zaferes do not finish, she would move into the leader position. 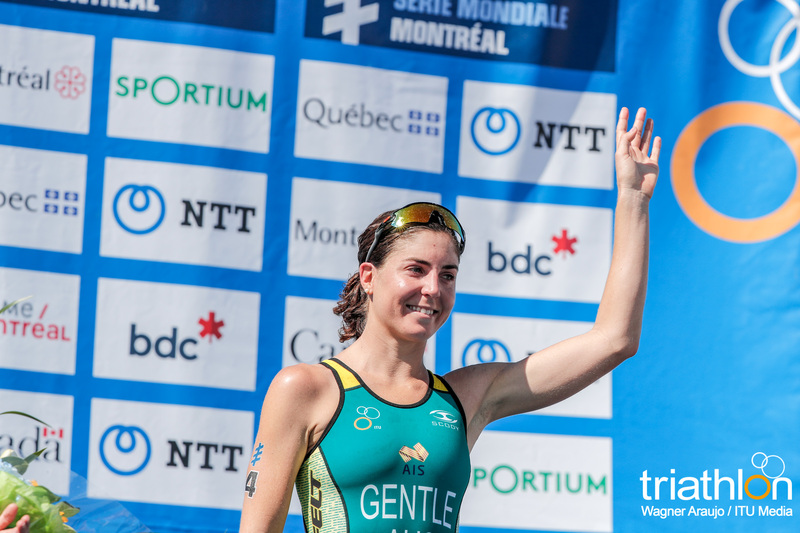 Which could easily be done since Gentle earned the silver in Montreal last year in the world cup, so she has the slight advantage of past venue success. 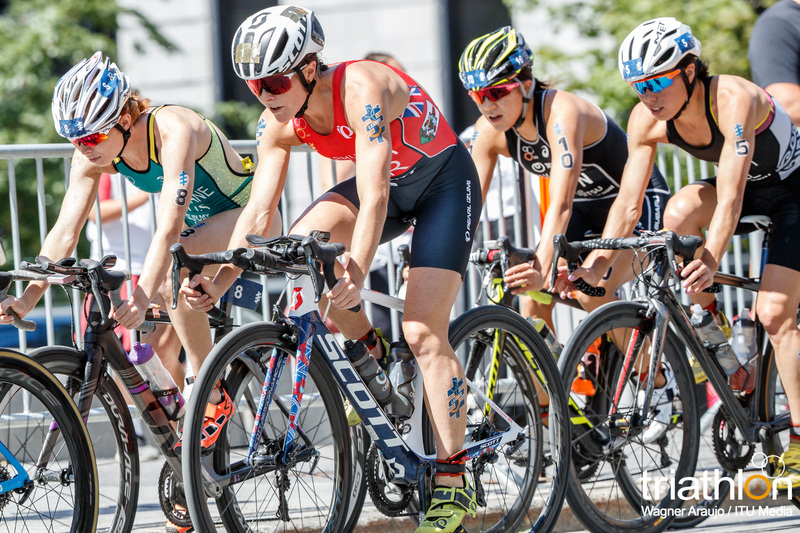 Then of course the women’s field comes loaded this weekend with huge talent that could shake up the podium. 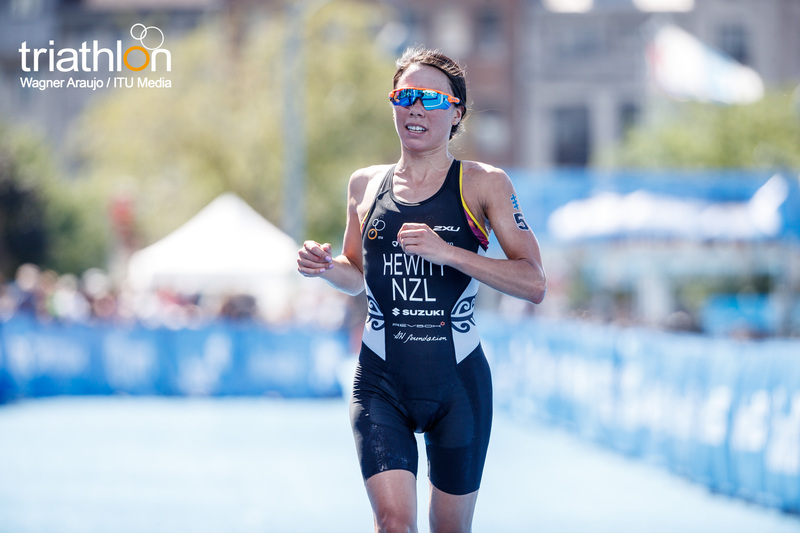 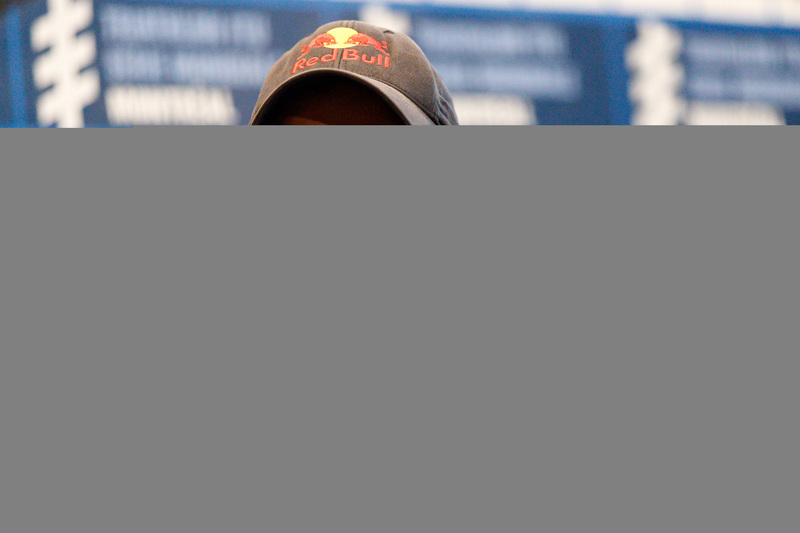 Kiwi Andrea Hewitt opened up the season on top and won the first two races. 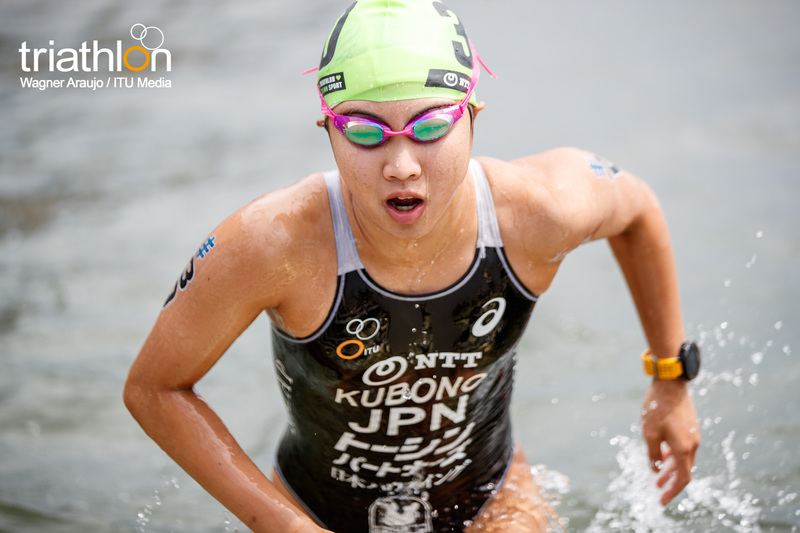 She then lost her stride and finished 23rd in Yokohama. 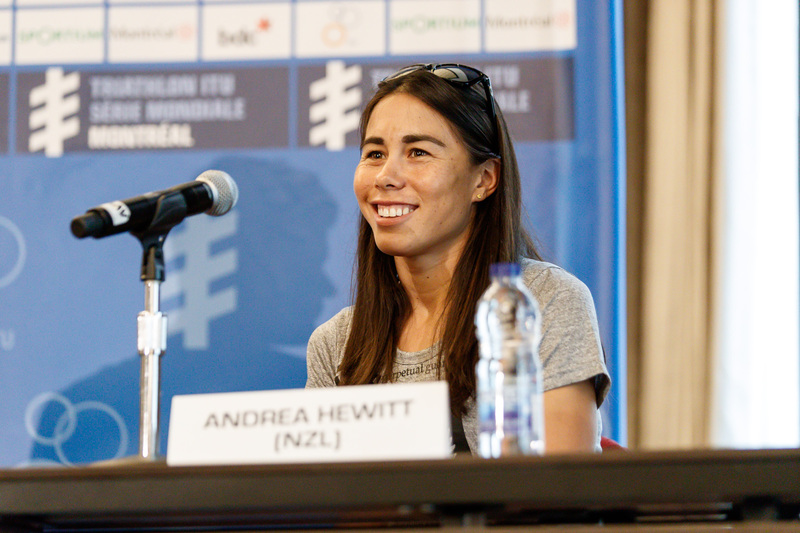 However, with three races left in the season, if Andrea can get back on top she can put herself back in the running for the World Title. 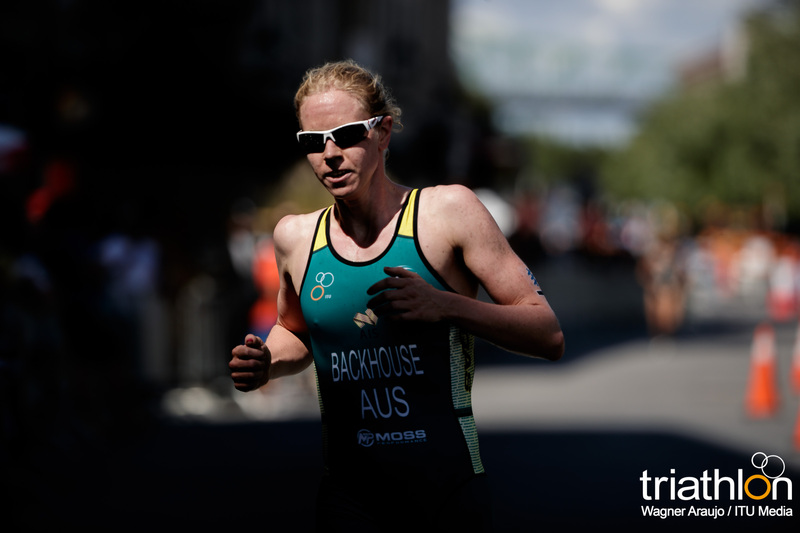 Aussies Charlotte McShane and Gillian Backhouse are always steady competitors. 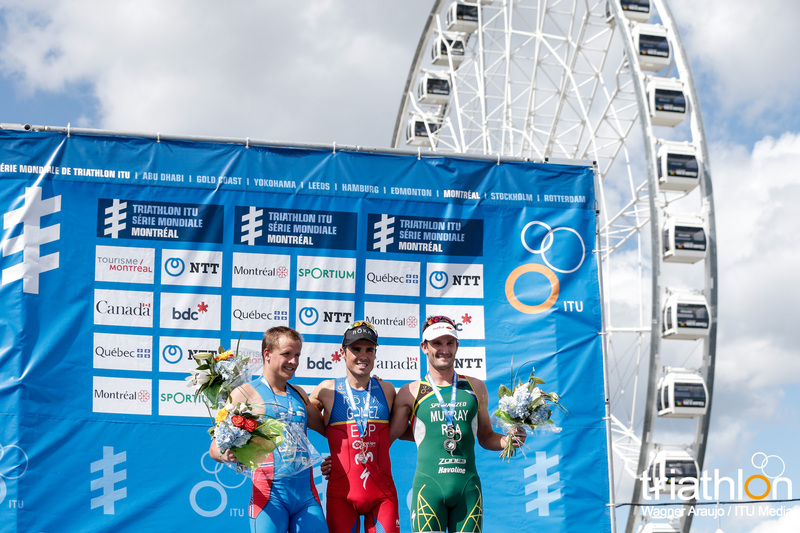 They have been on the WTS podium before, so knows what it takes. 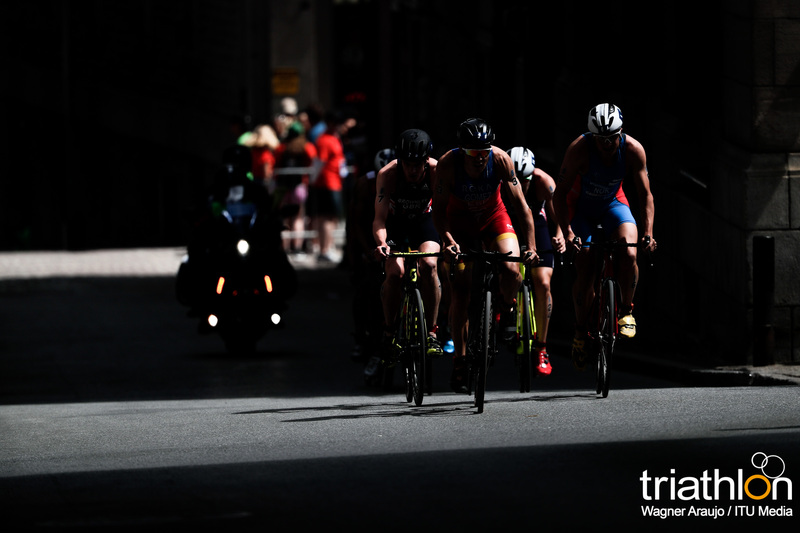 They also are very strong in the bike and run, so they easily could both be in the mix this week. 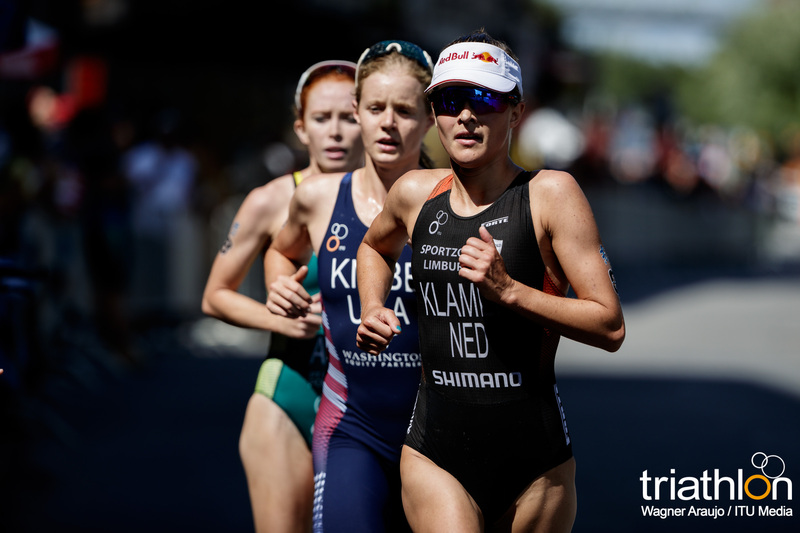 Rachel Klamer (NED) earned her first WTS medal last year in Hamburg and has been close to getting back to the WTS podium since then. 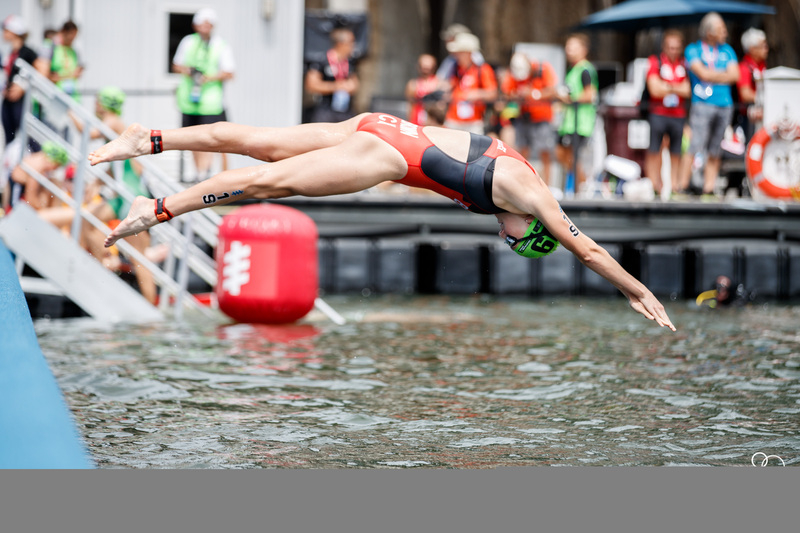 She earned sixth place last weekend in Edmonton, so she is inches away from stepping up to claim a medal again this season. 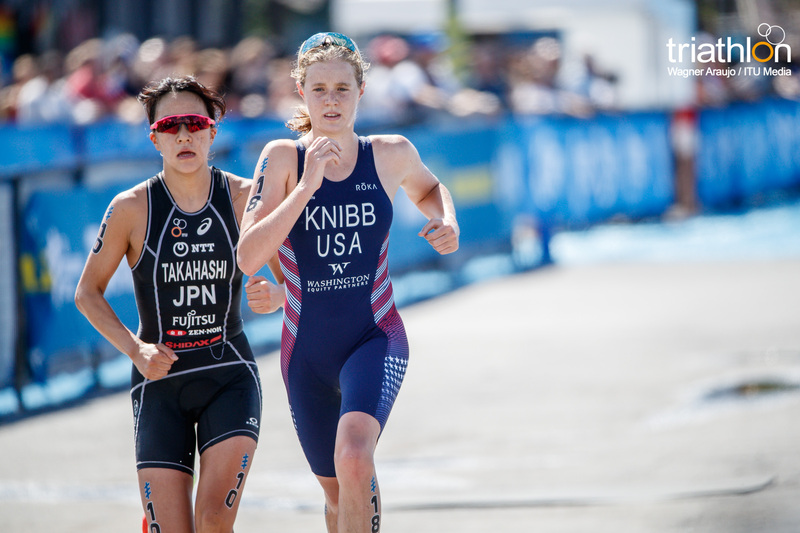 Another face to watch out for this weekend is the young American – Taylor Knibb. 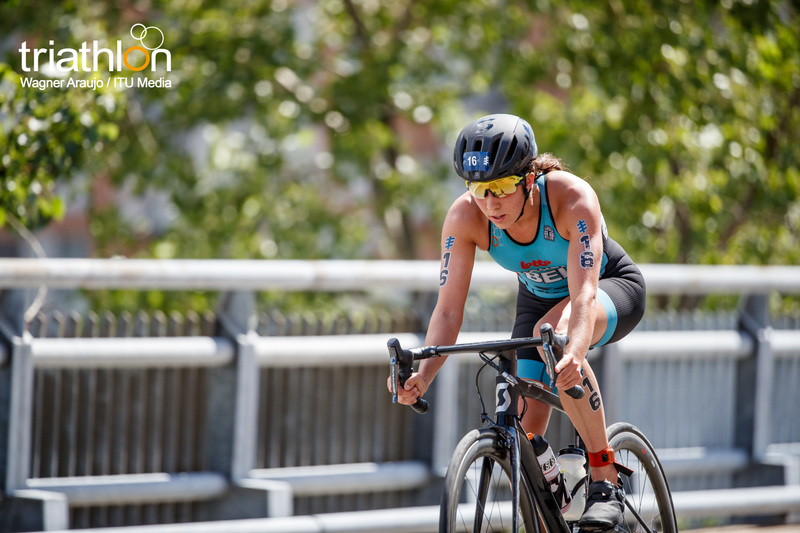 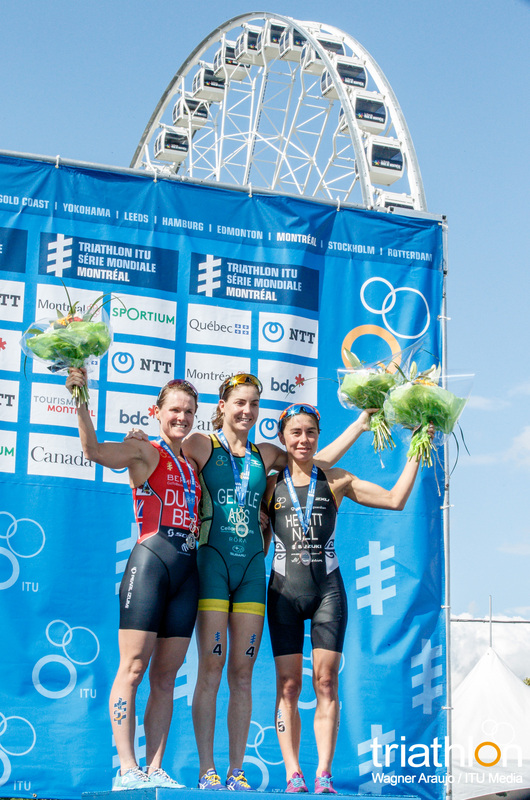 The Montreal World Cup last year was the race that put Knibb’s name in the ITU spotlight after she rode strong in a bike breakaway with the cycle queen herself, Duffy. 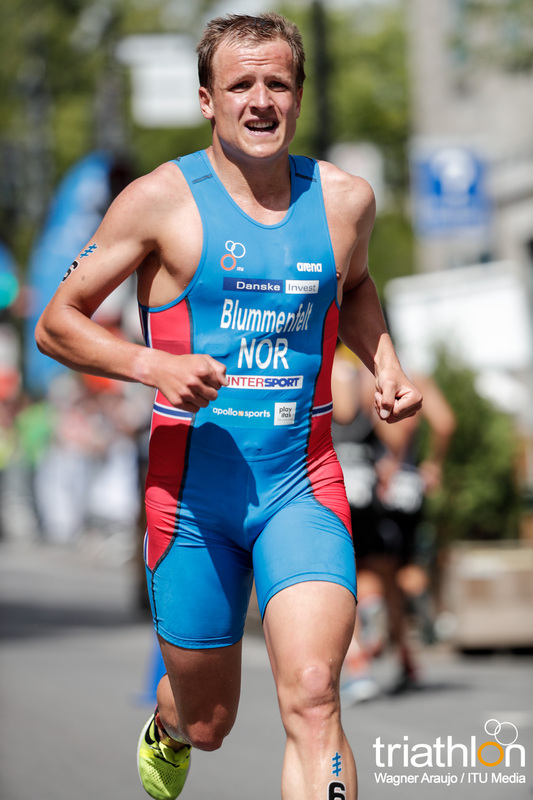 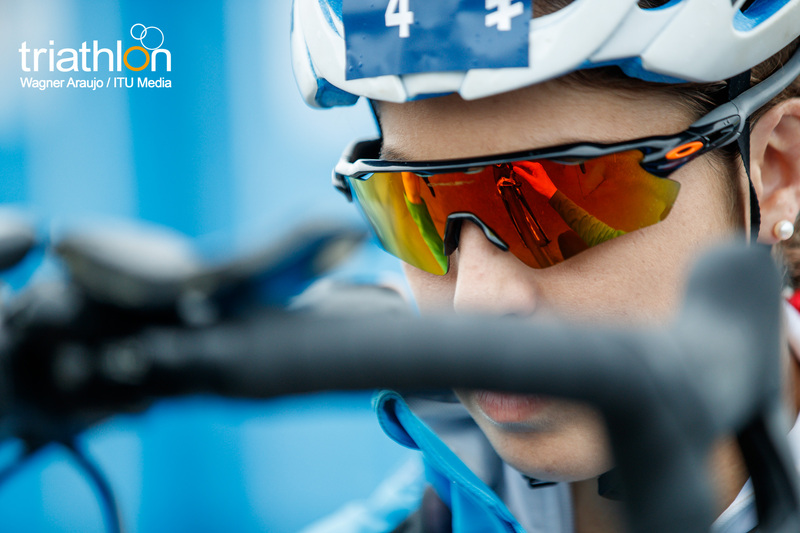 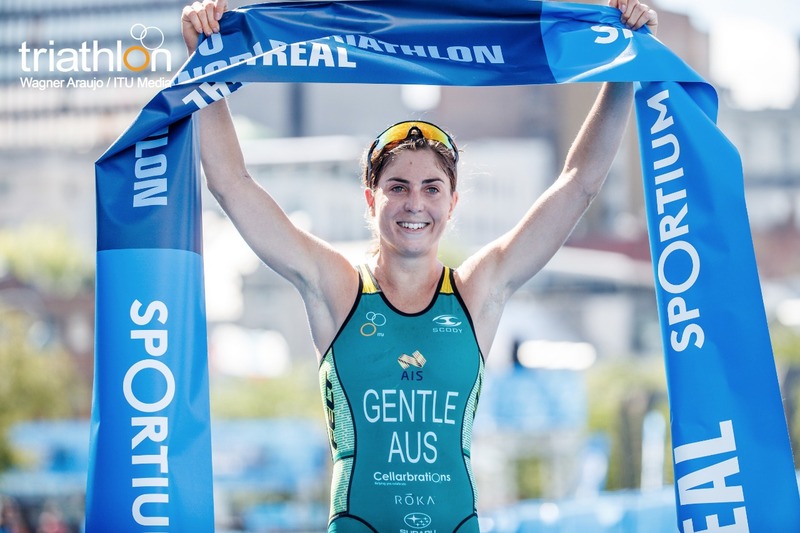 She then finished third and went on to become the ITU Junior World Champion. 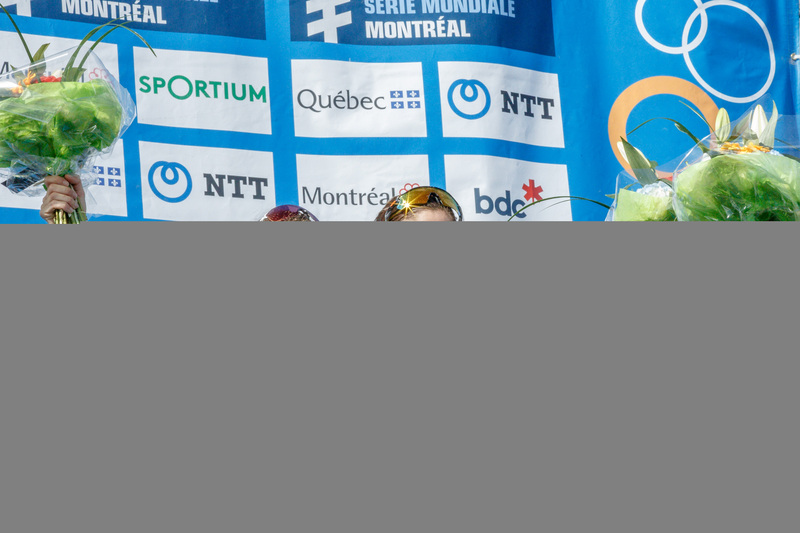 Then last weekend, Knibb once again held on in a bike breakaway with Duffy and earned the silver, her first career WTS medal. 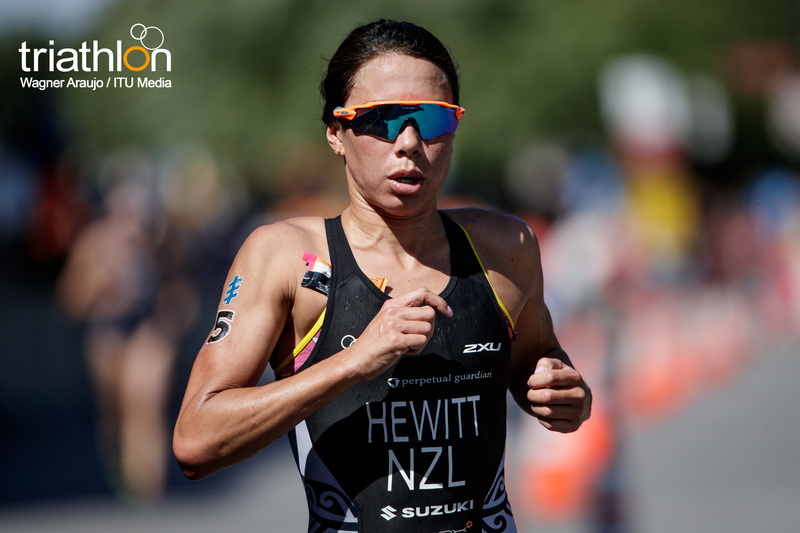 So we will see if she can follow up last weekend’s performance with another strong outcome on Saturday. 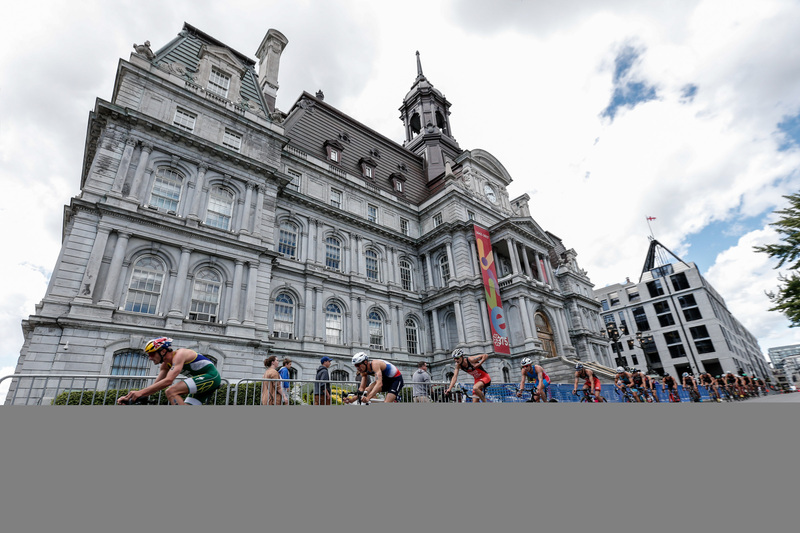 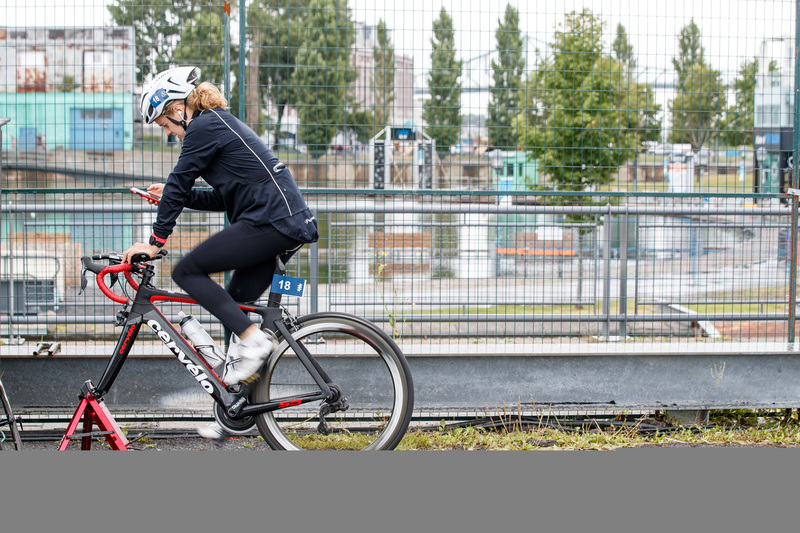 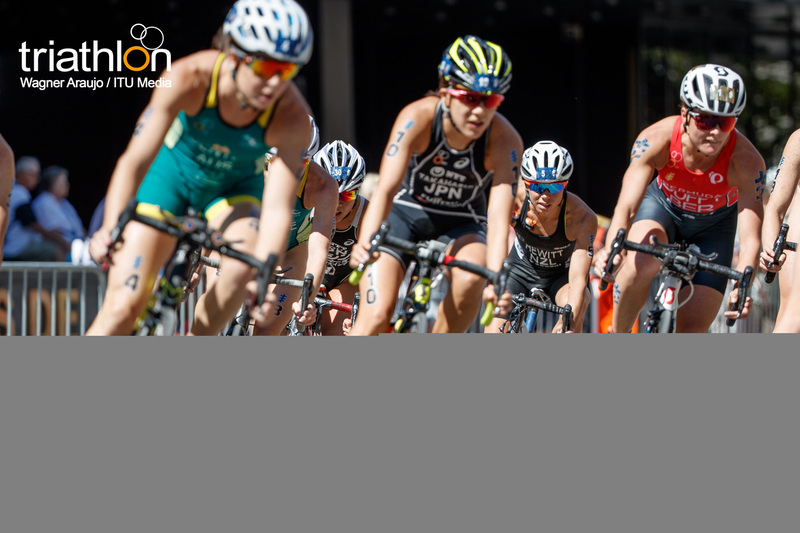 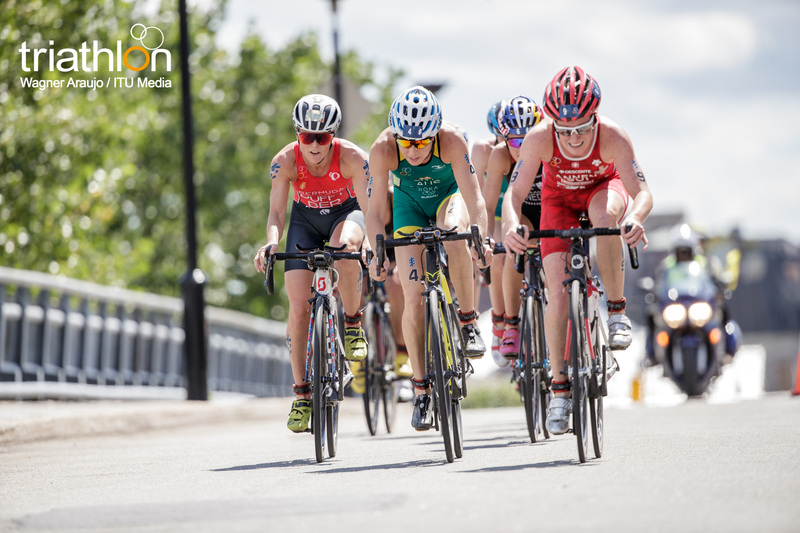 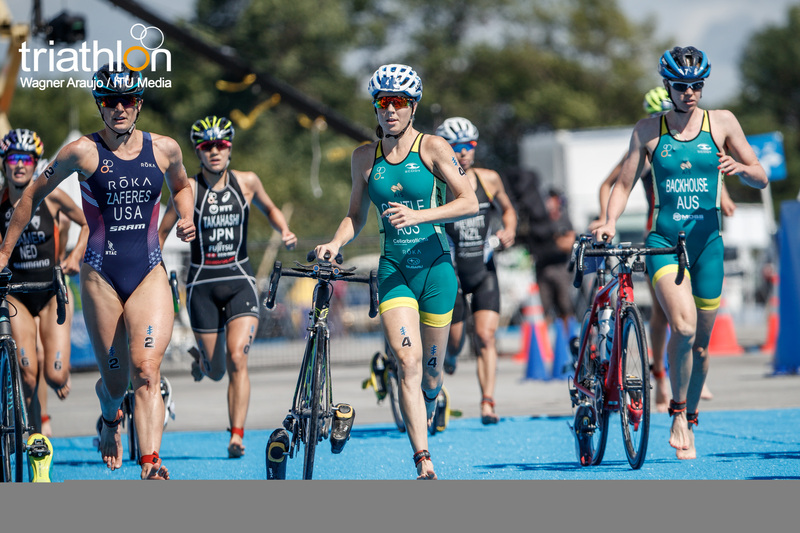 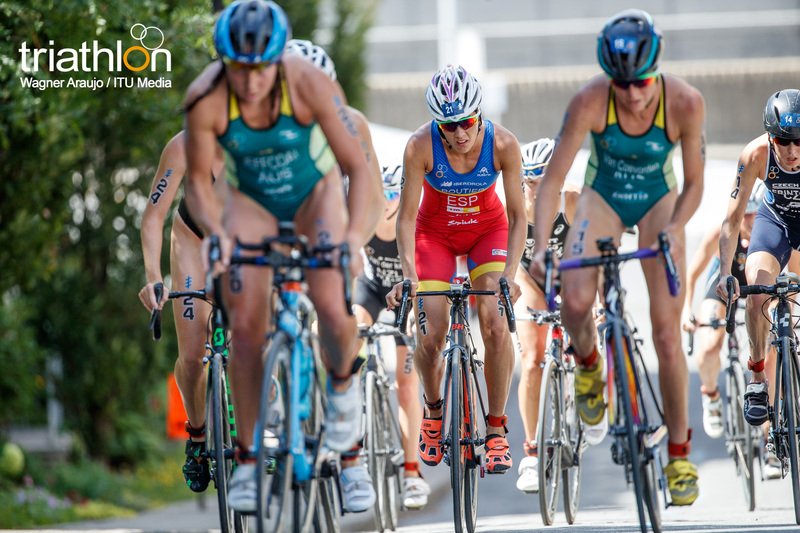 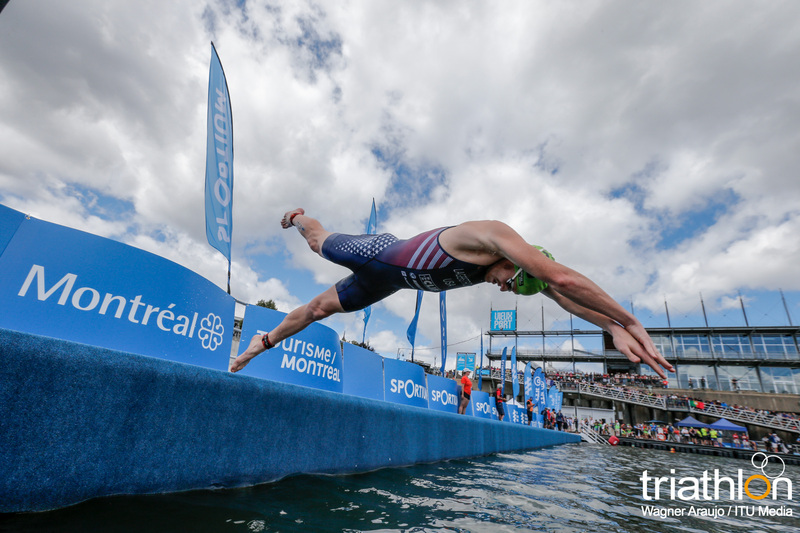 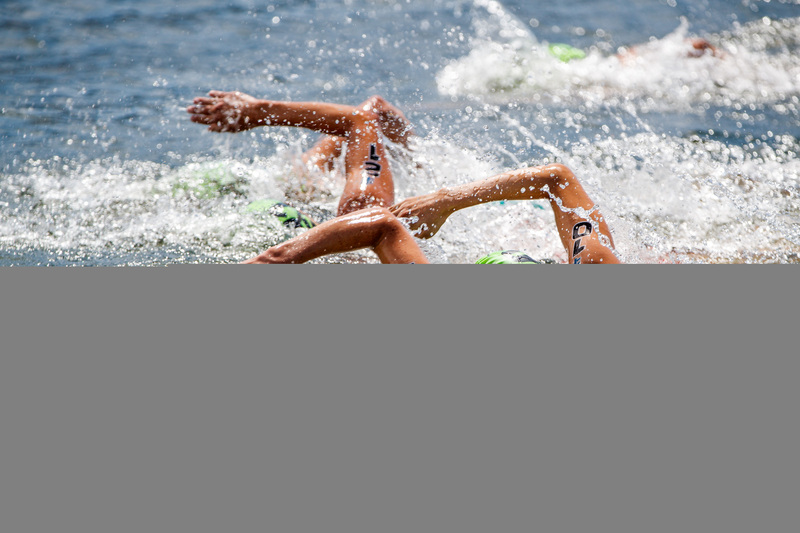 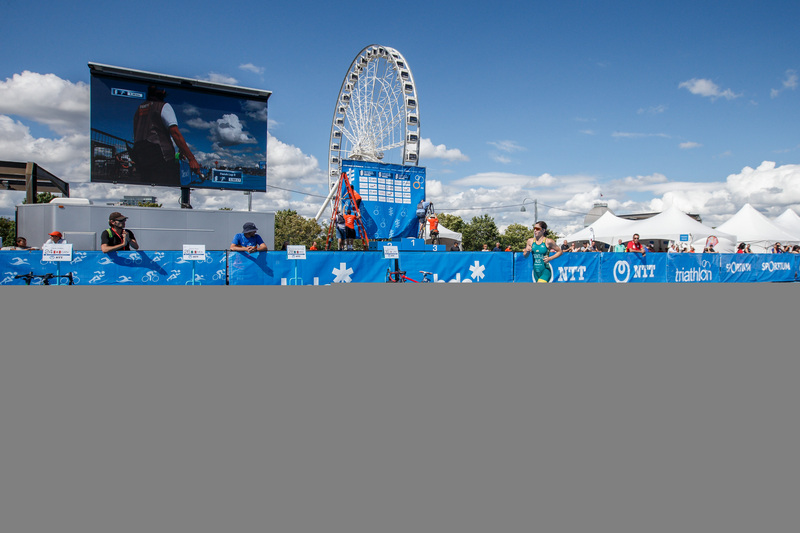 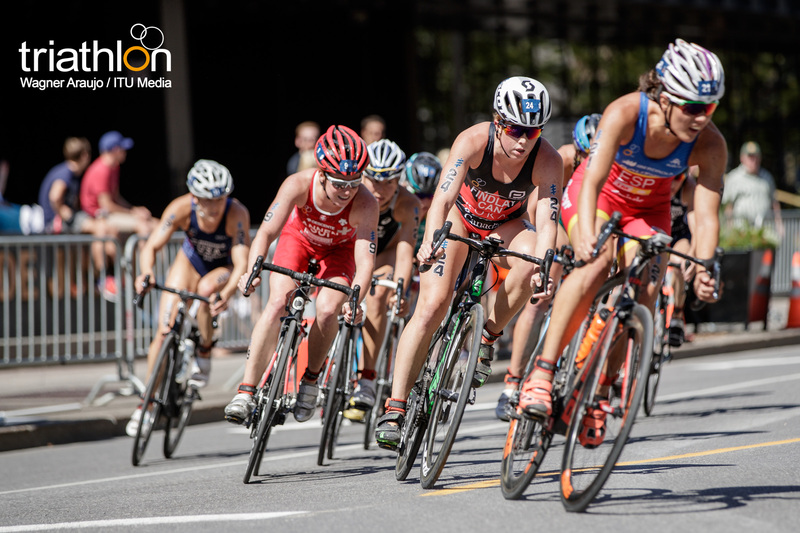 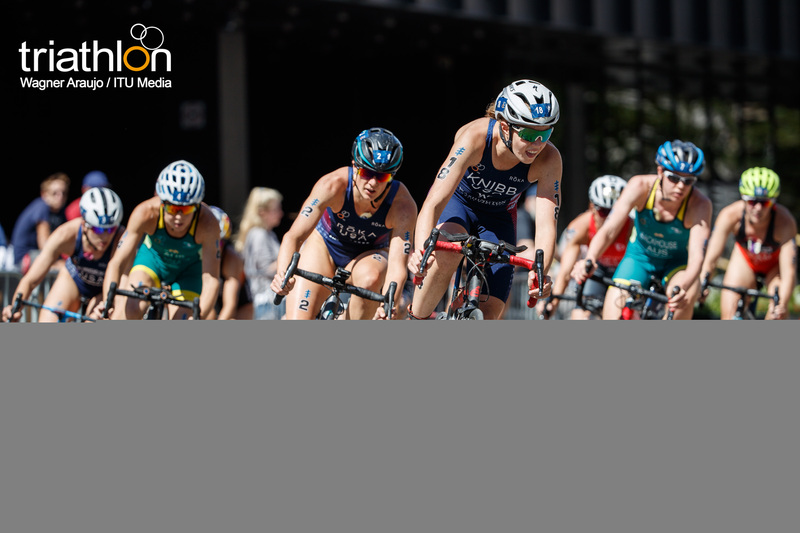 The women will get the 2017 ITU World Triathlon Montreal underway at 13:30 on Saturday, August 05, while the men will follow the next day at 13:30 local time on Sunday, August 06. 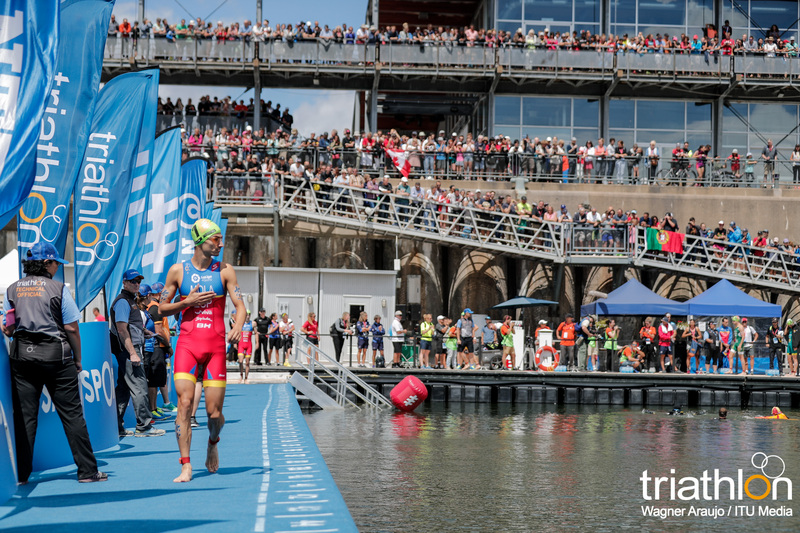 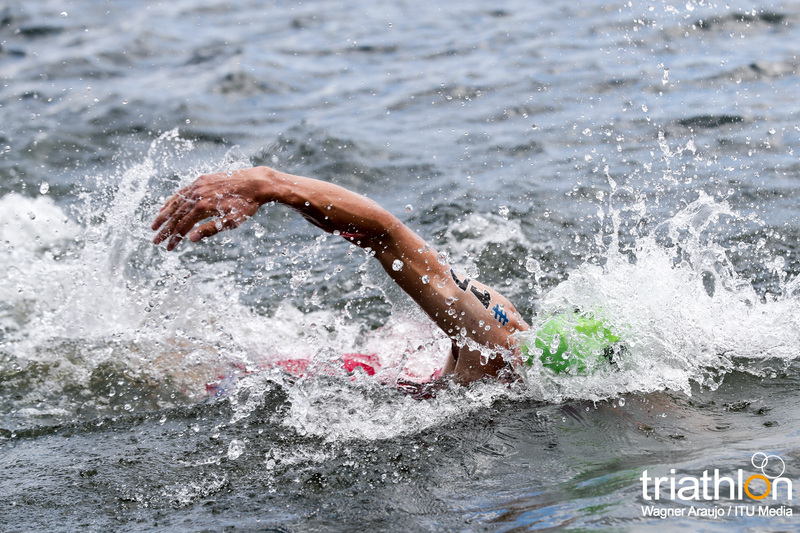 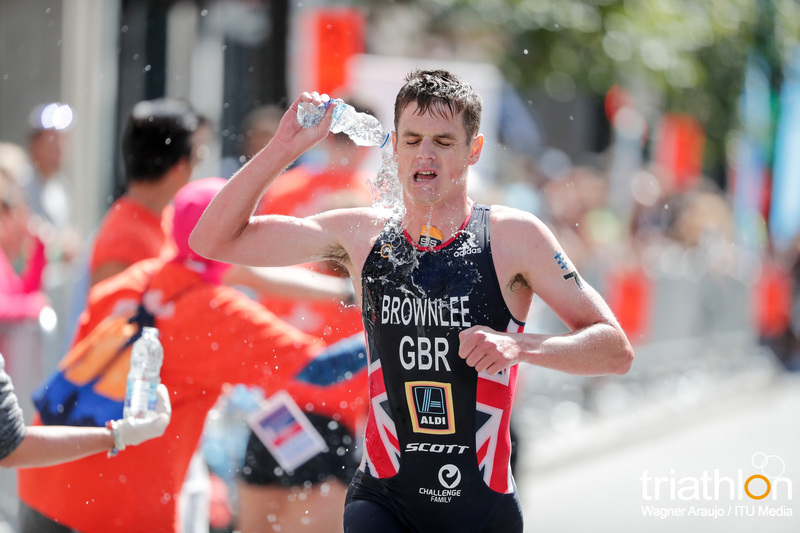 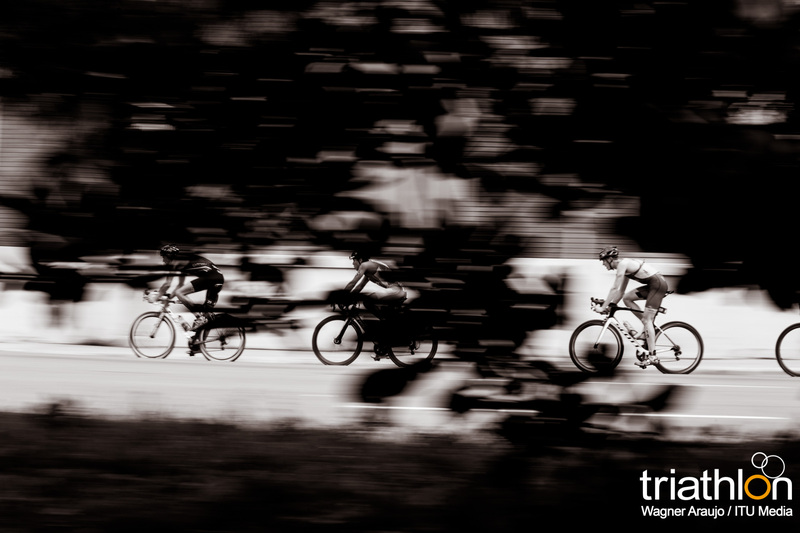 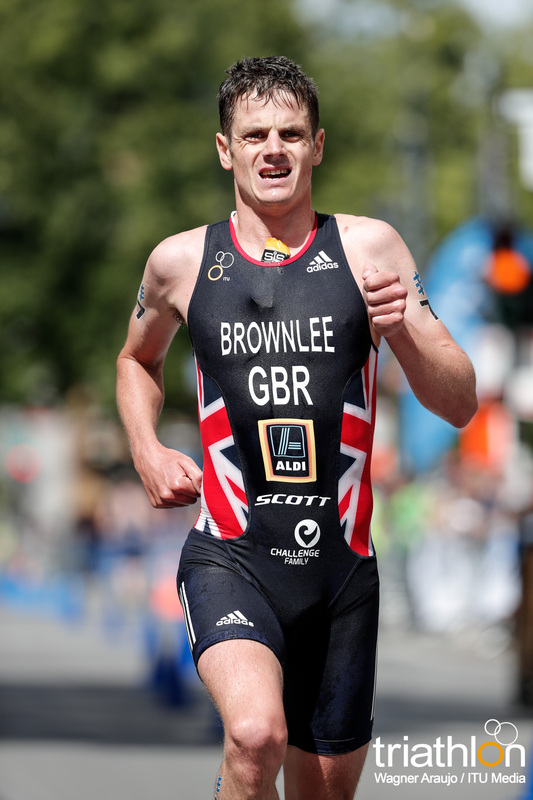 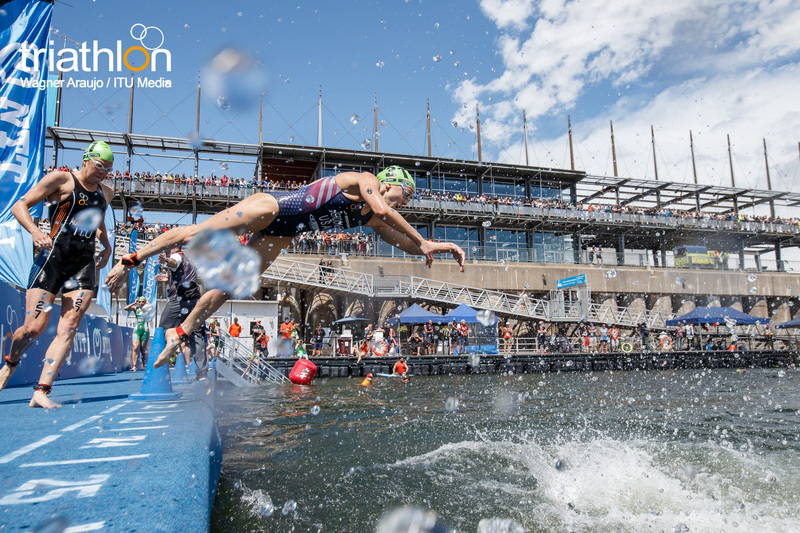 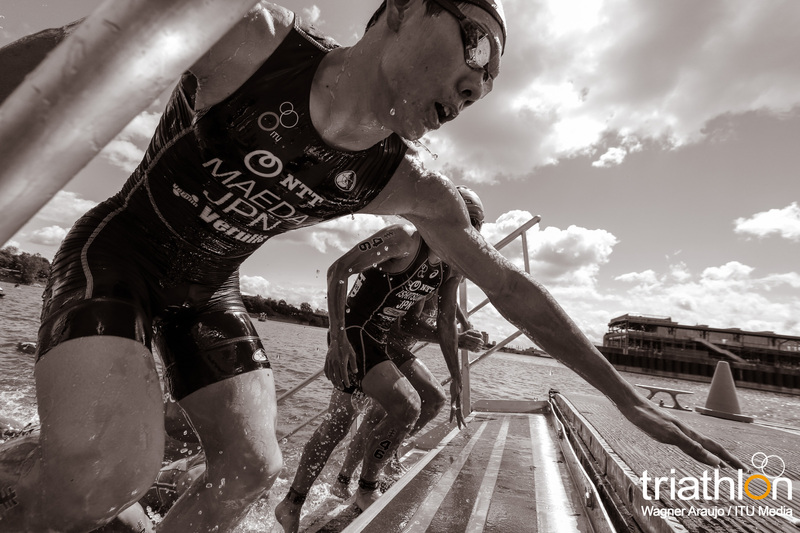 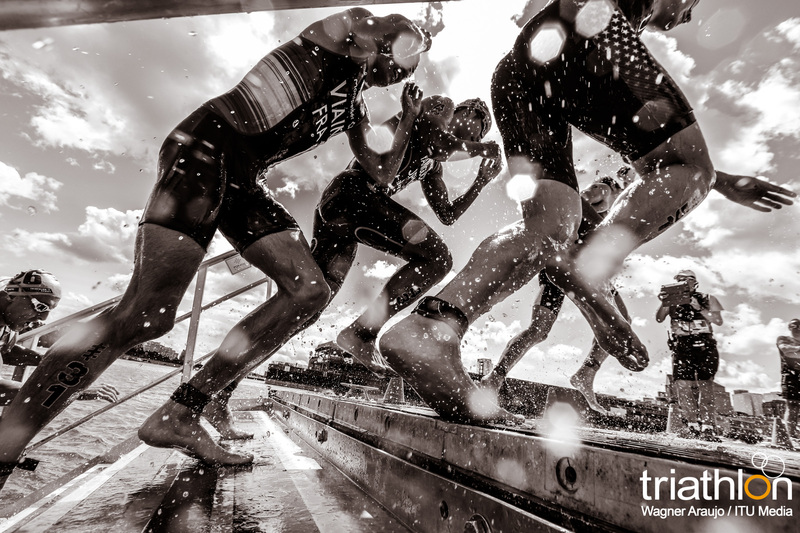 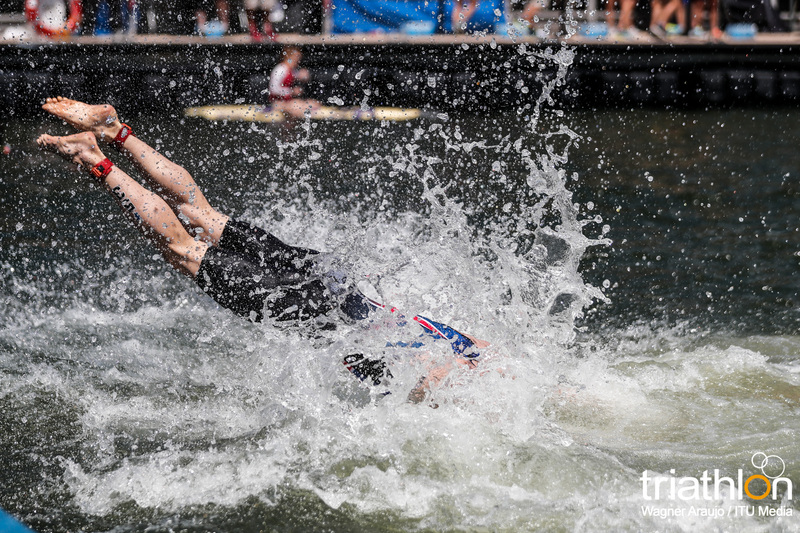 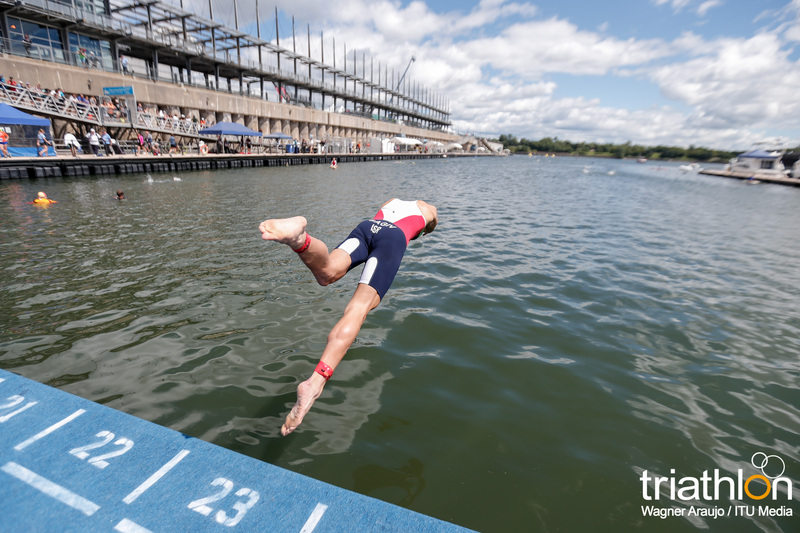 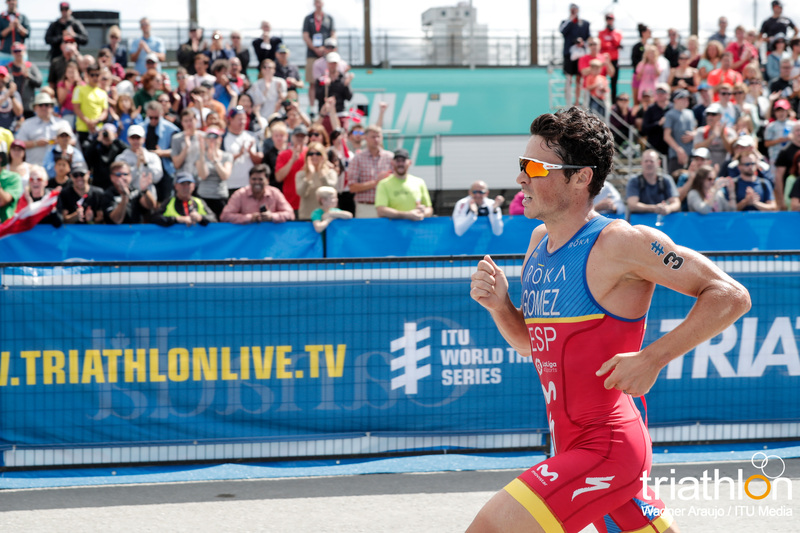 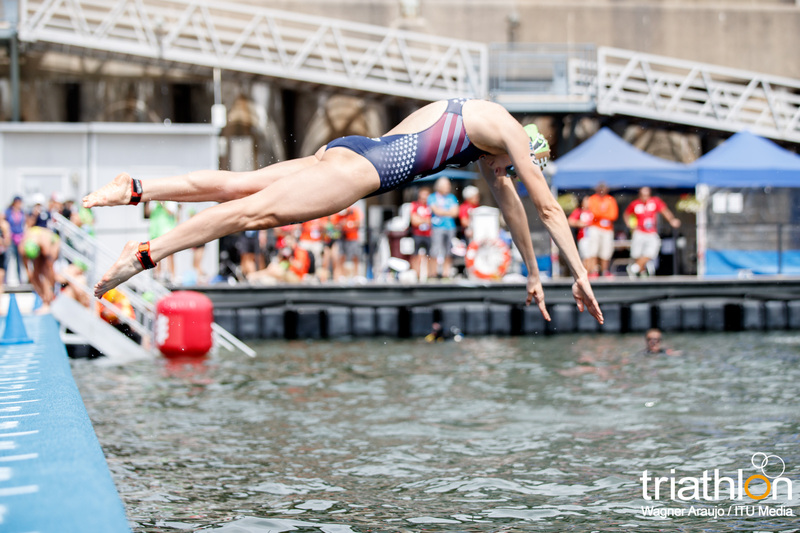 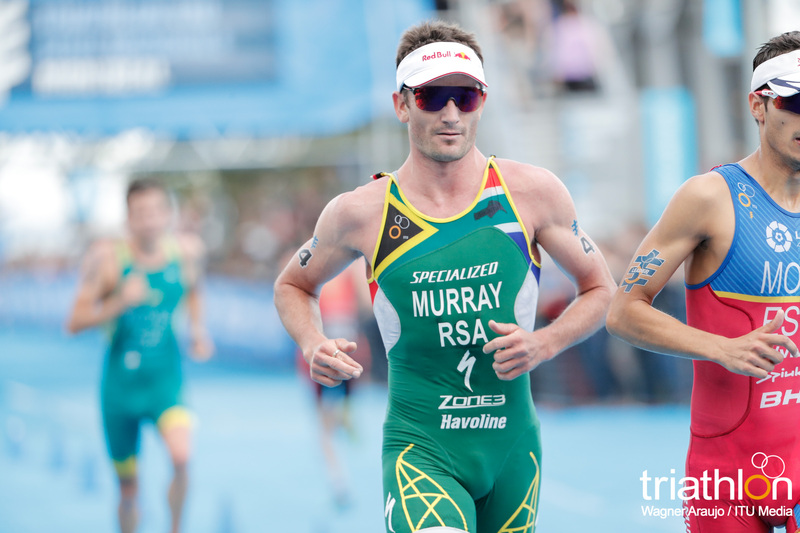 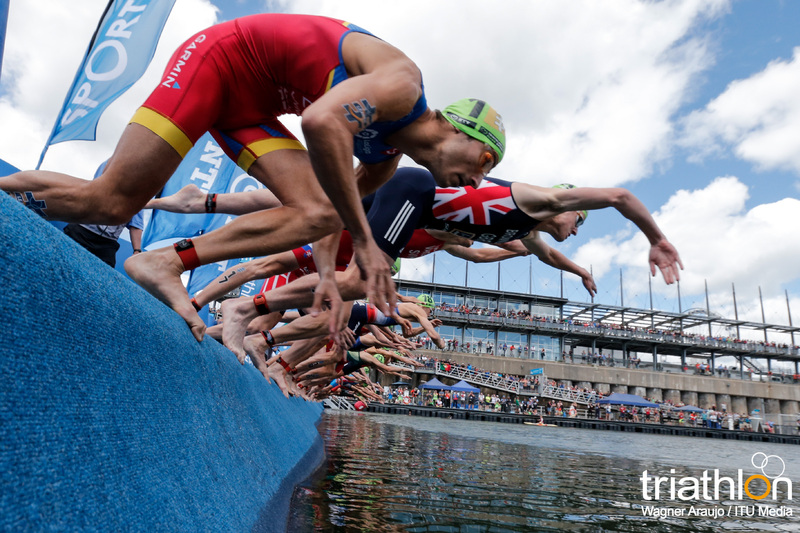 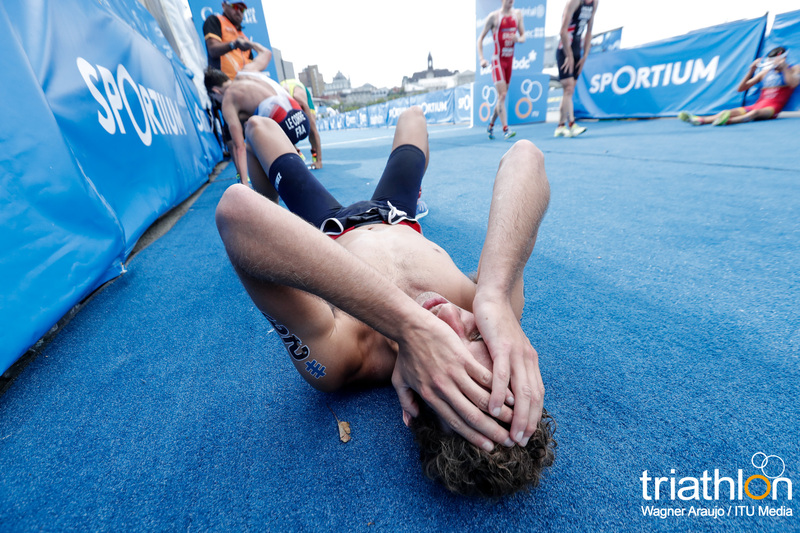 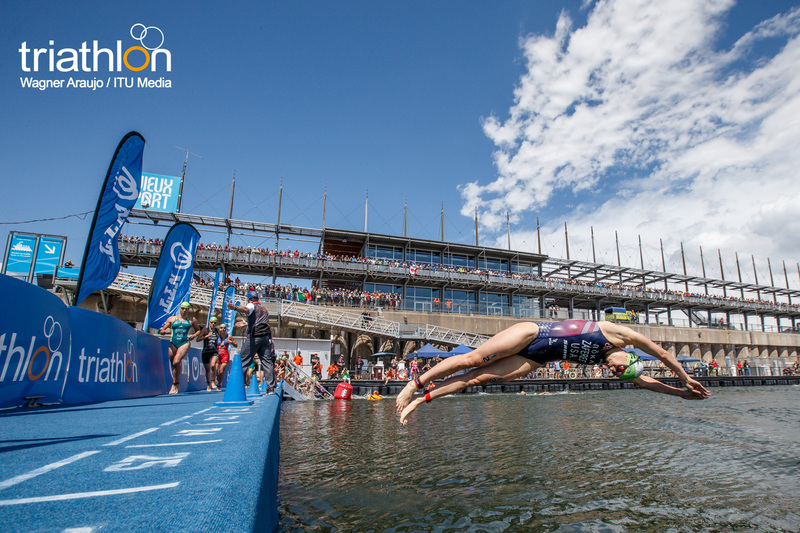 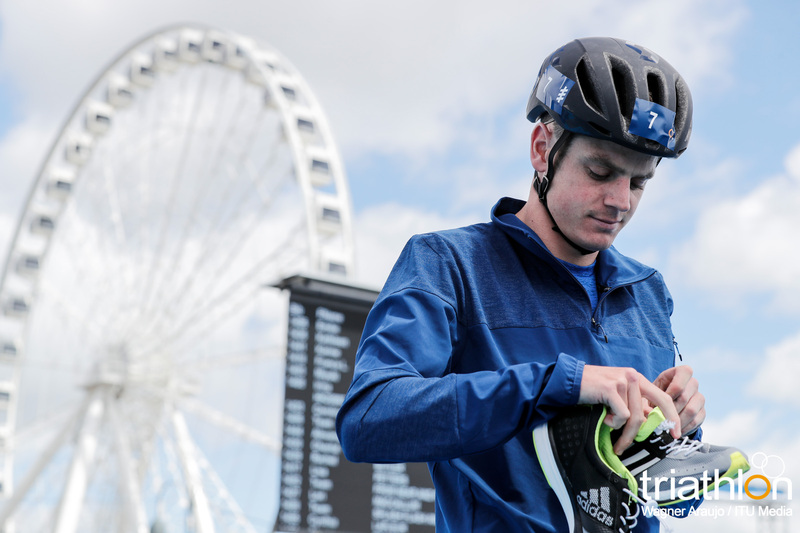 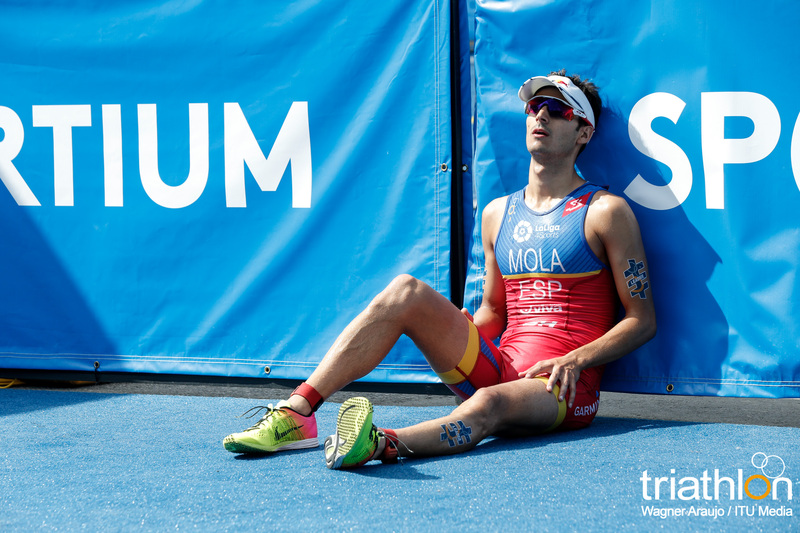 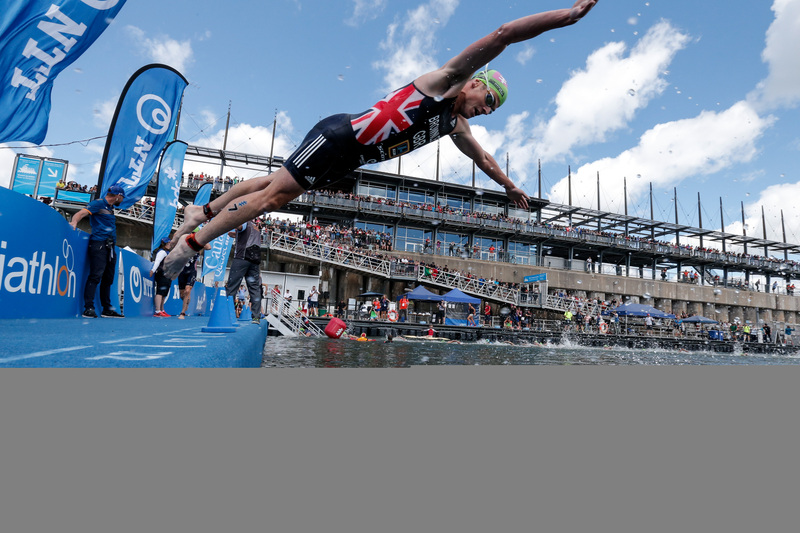 Follow all of the action live at triathlonlive.tv and on twitter @triathlonlive.